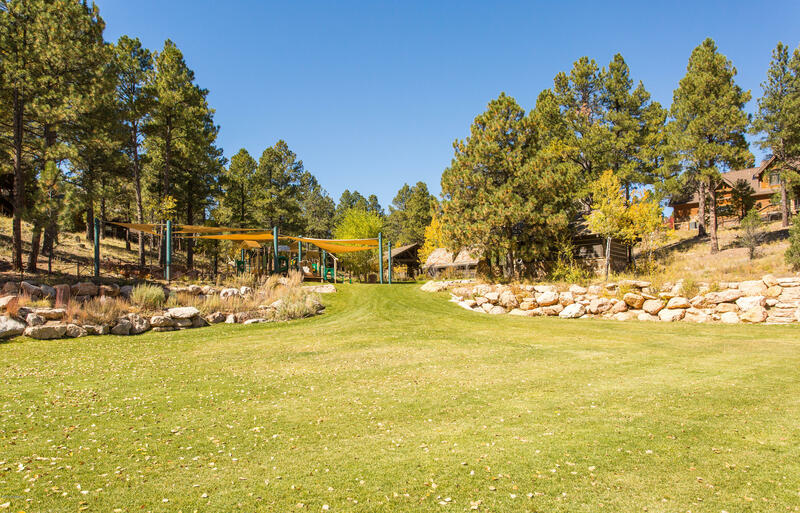 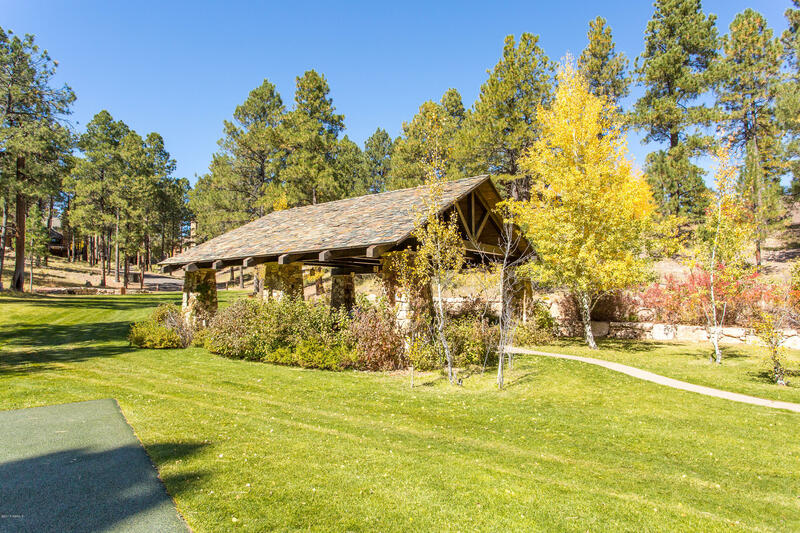 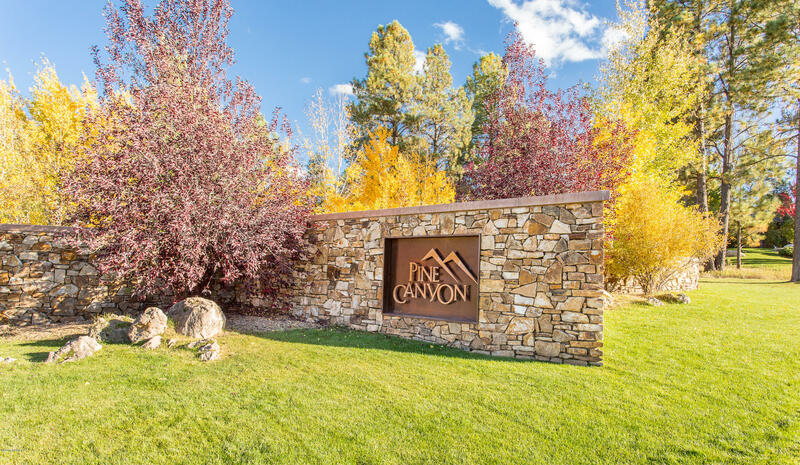 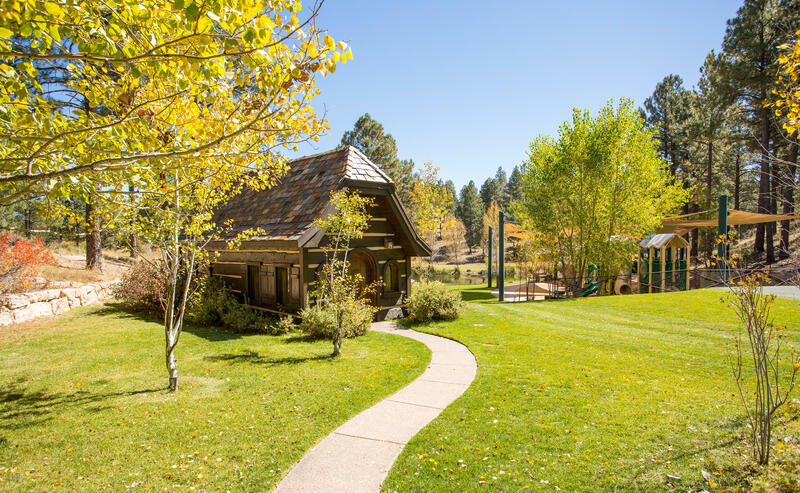 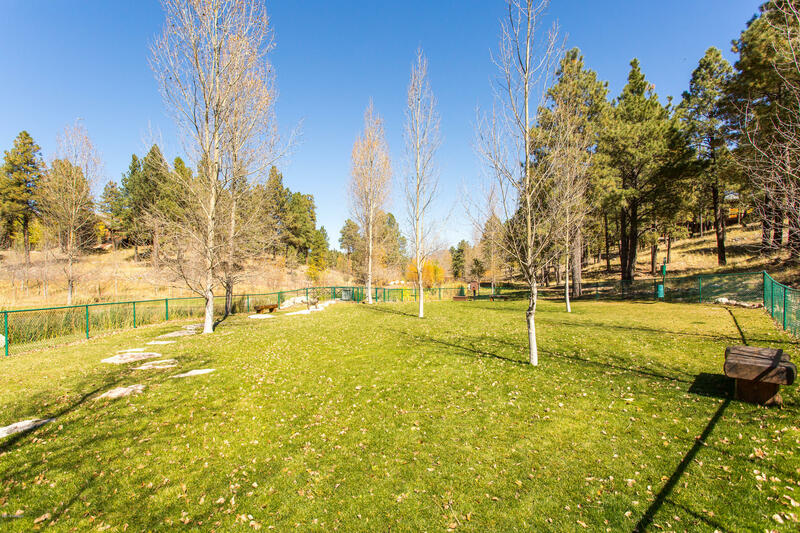 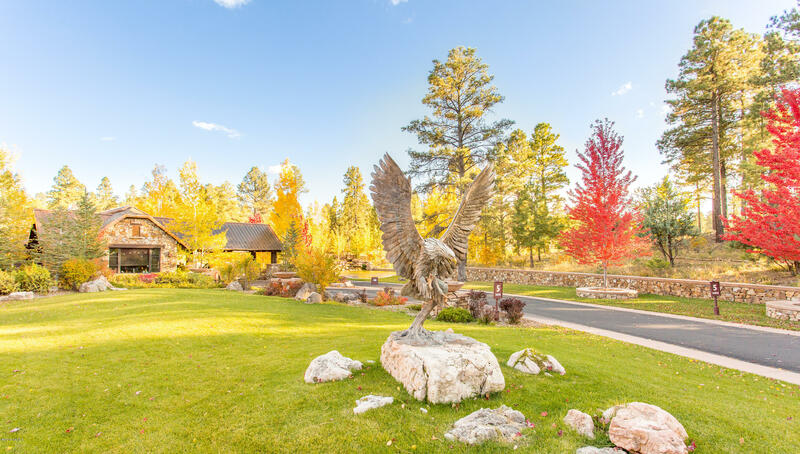 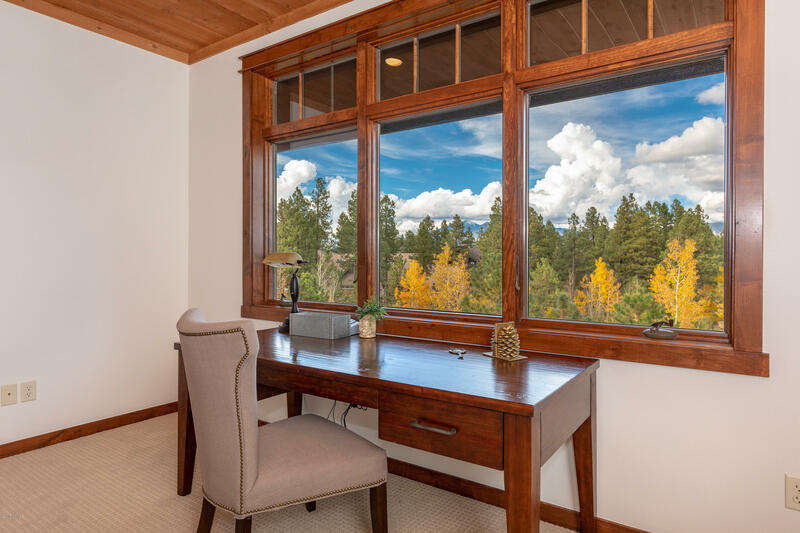 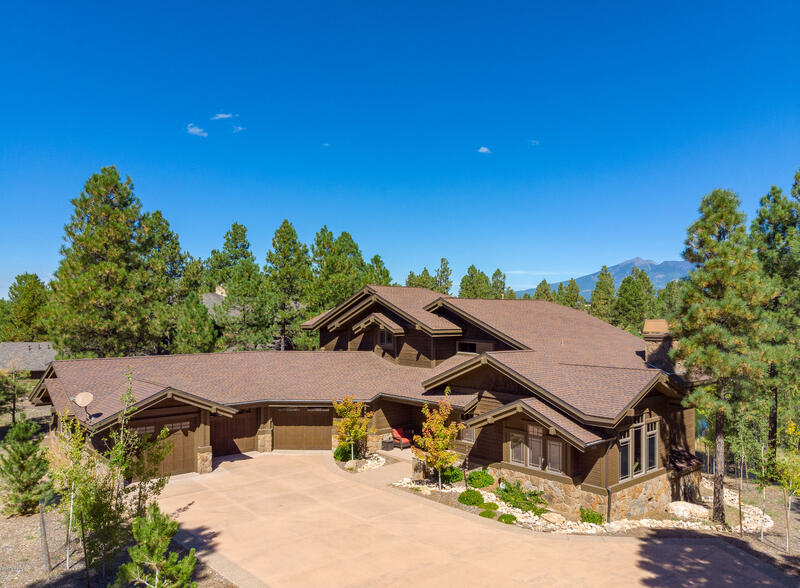 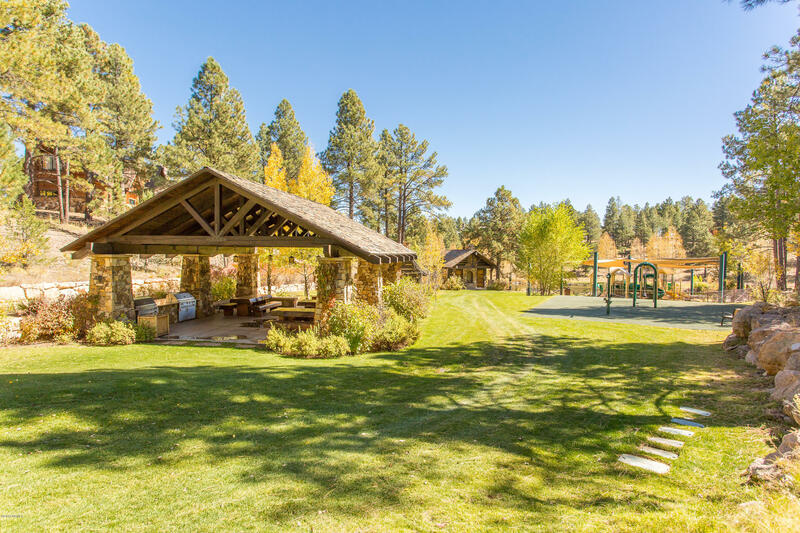 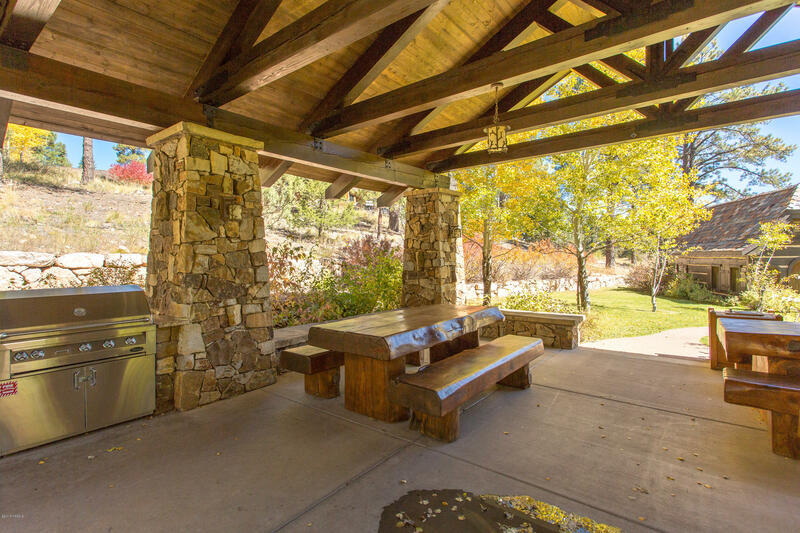 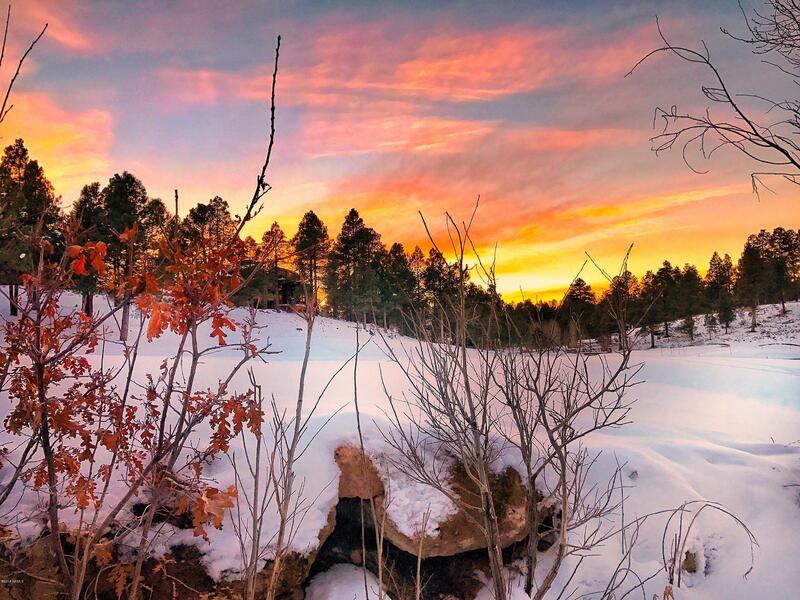 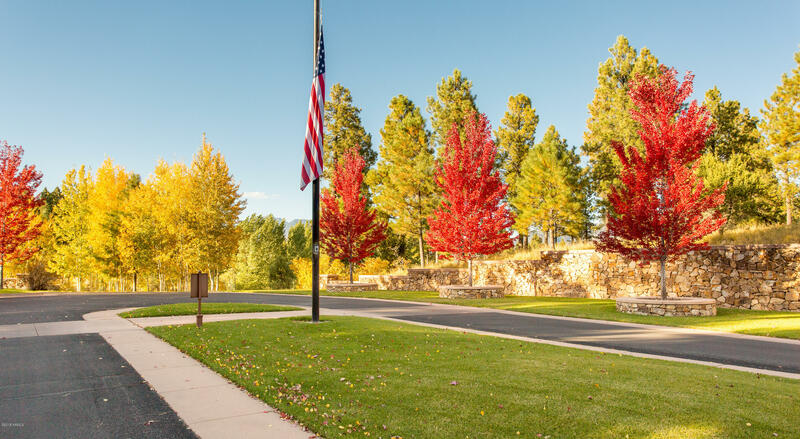 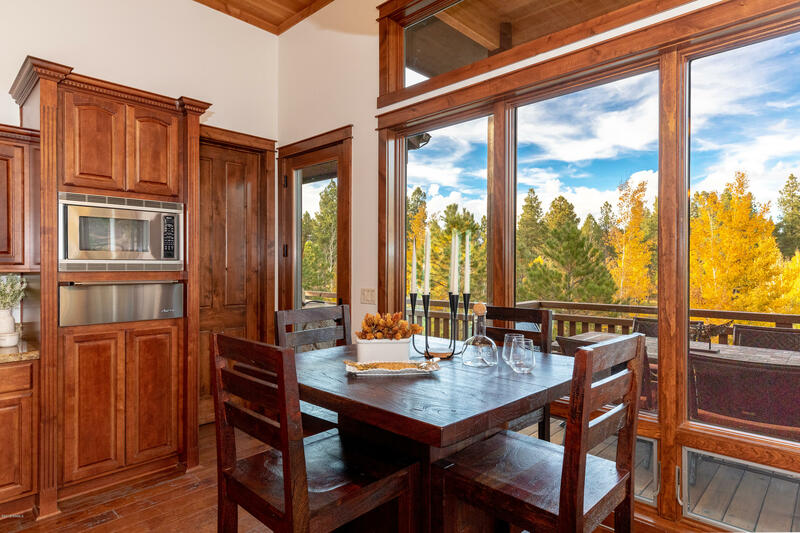 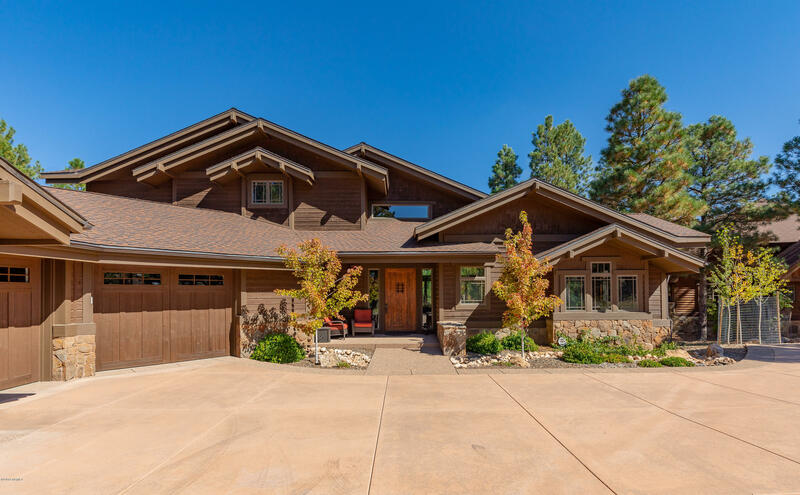 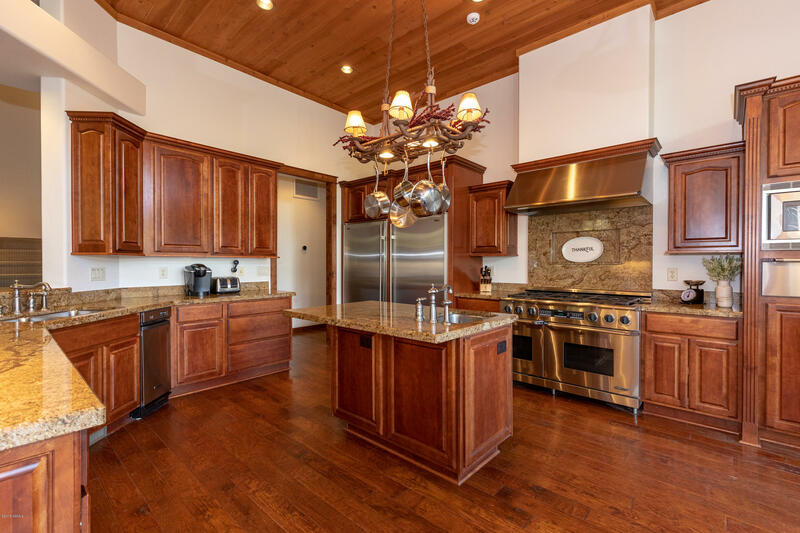 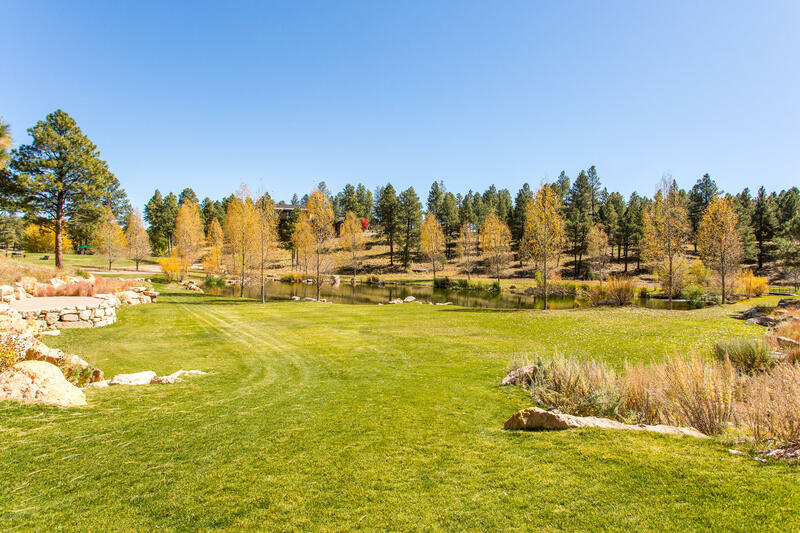 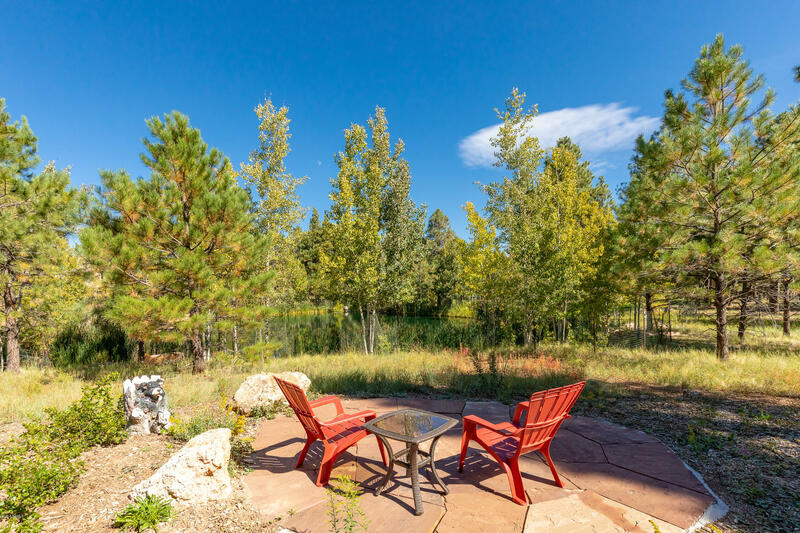 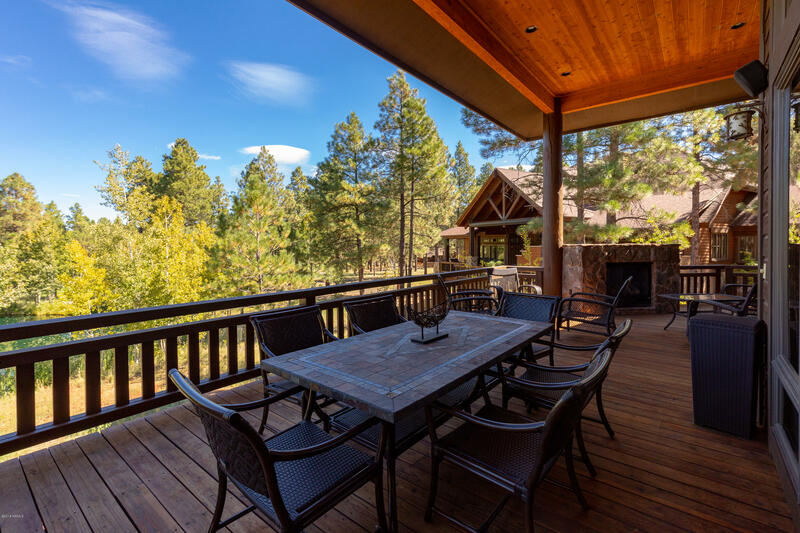 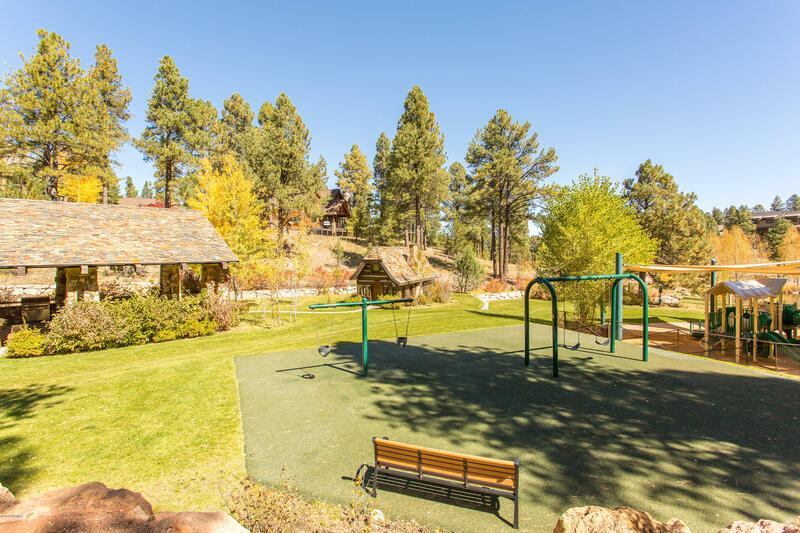 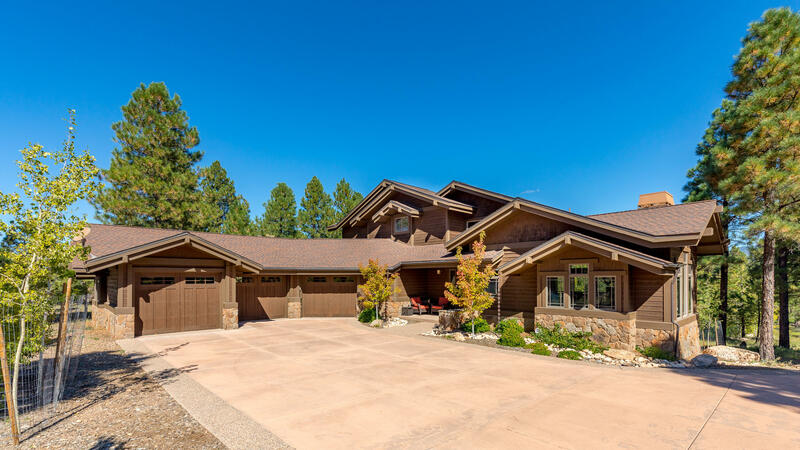 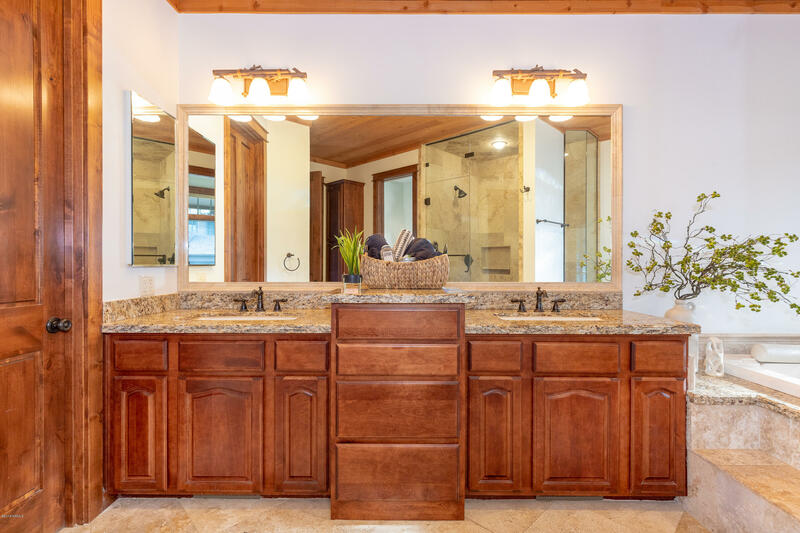 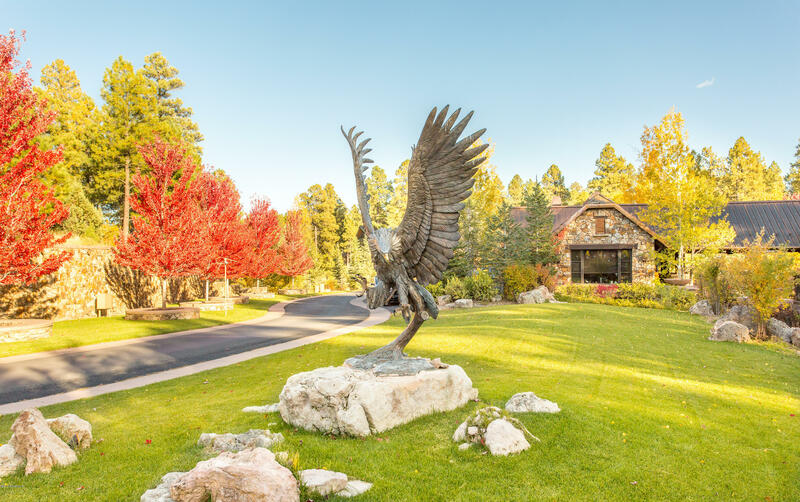 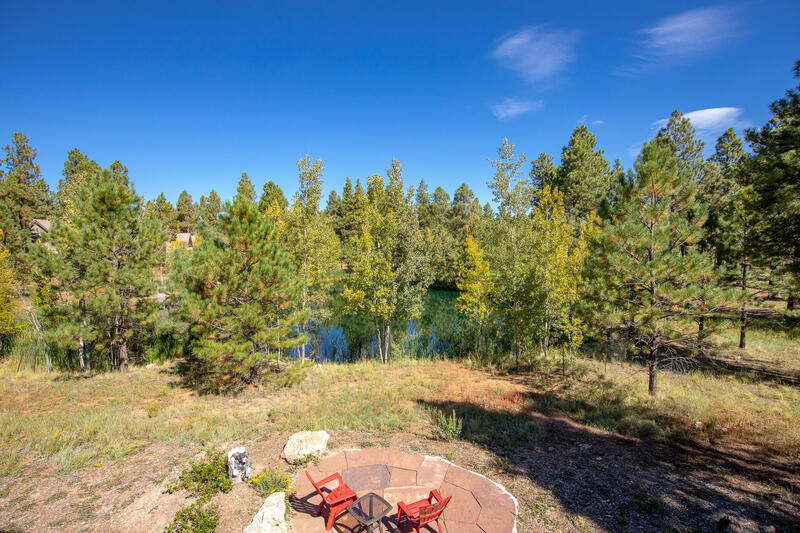 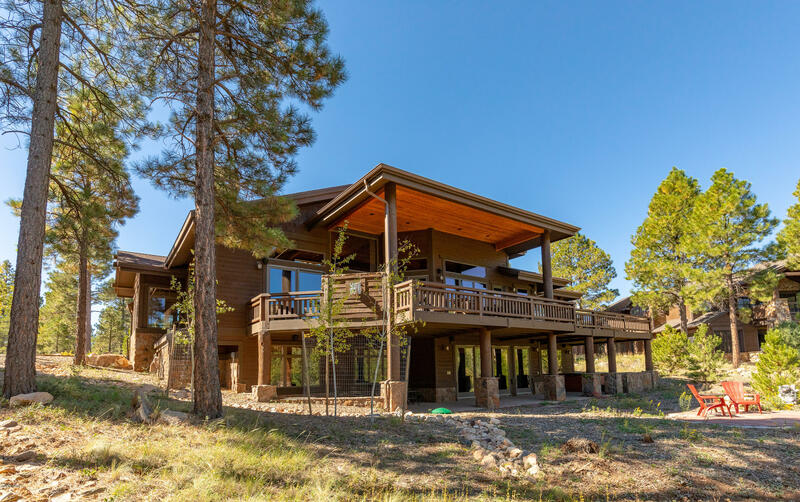 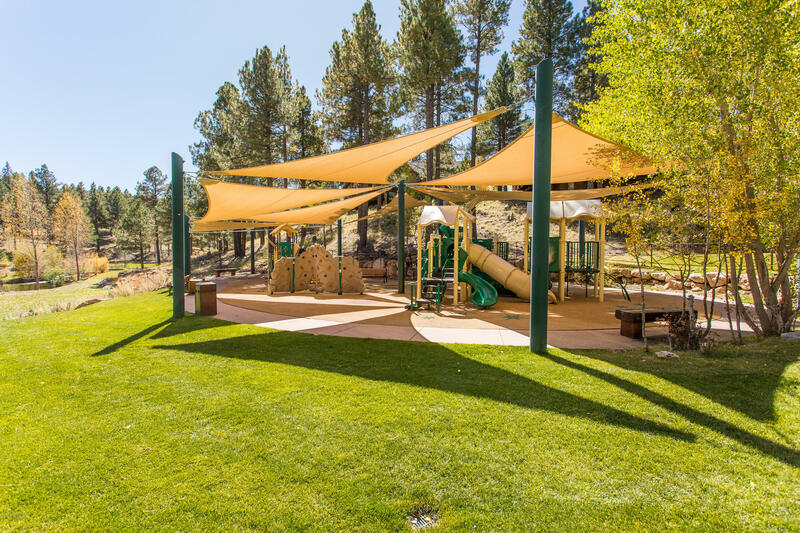 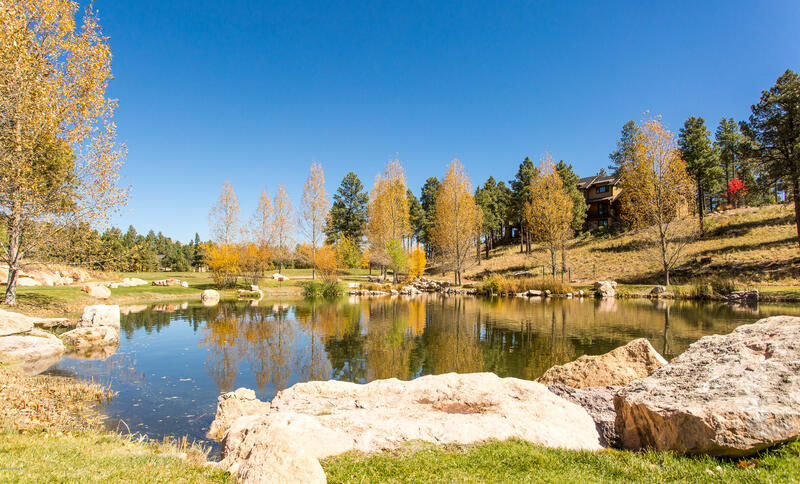 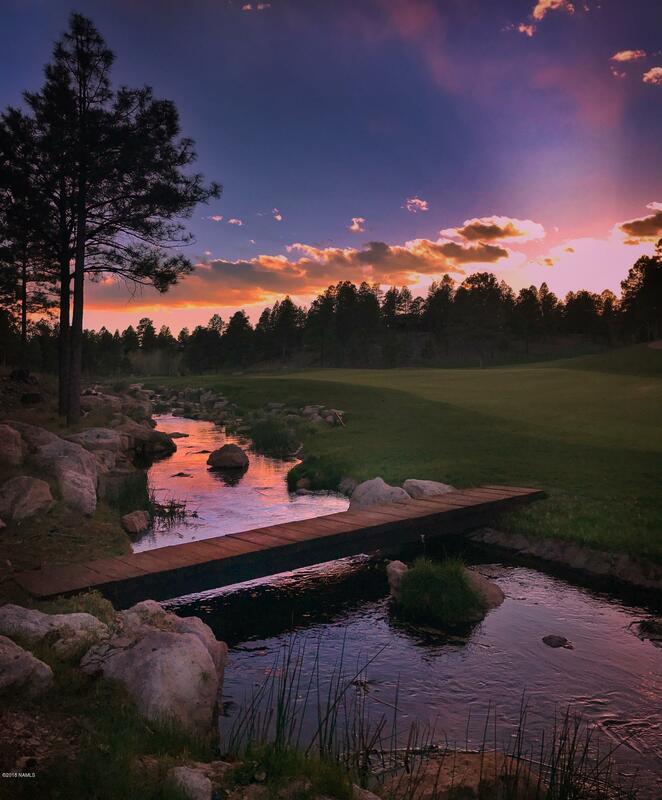 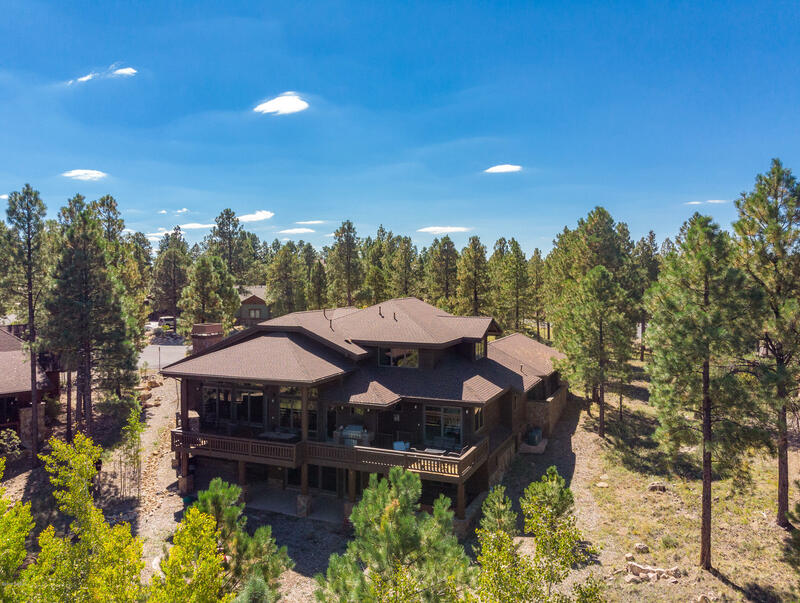 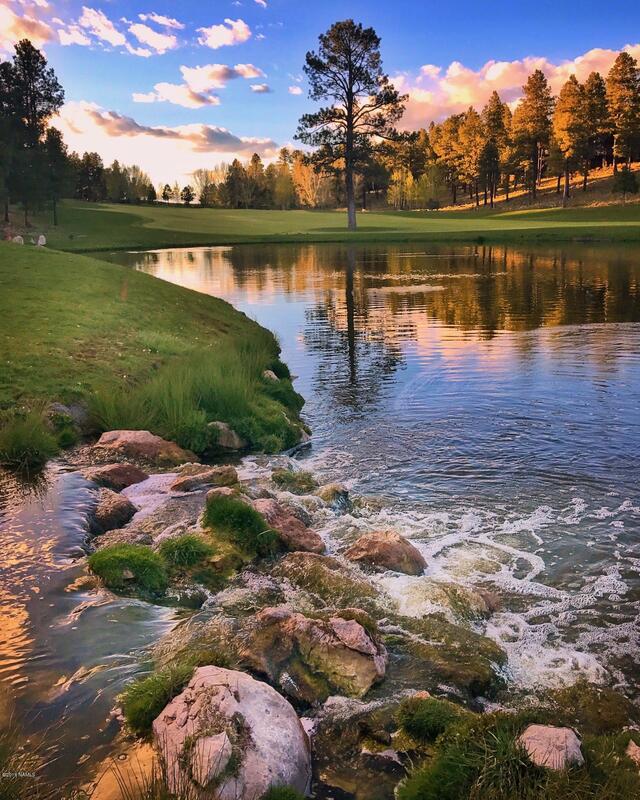 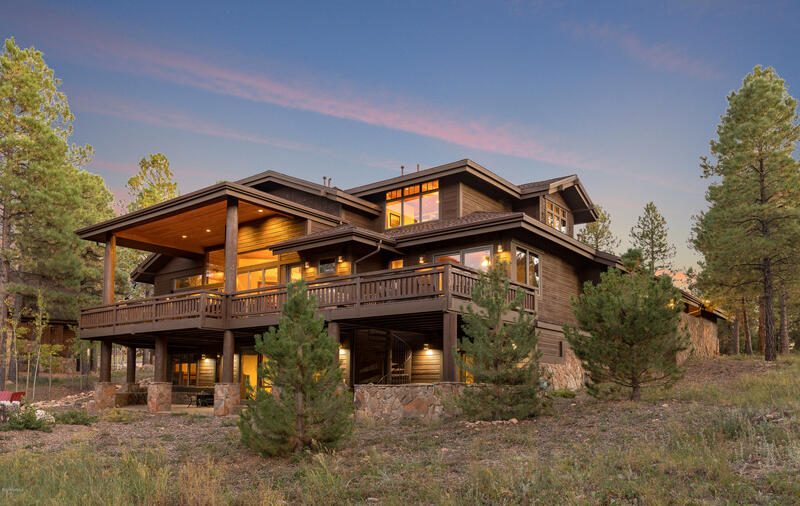 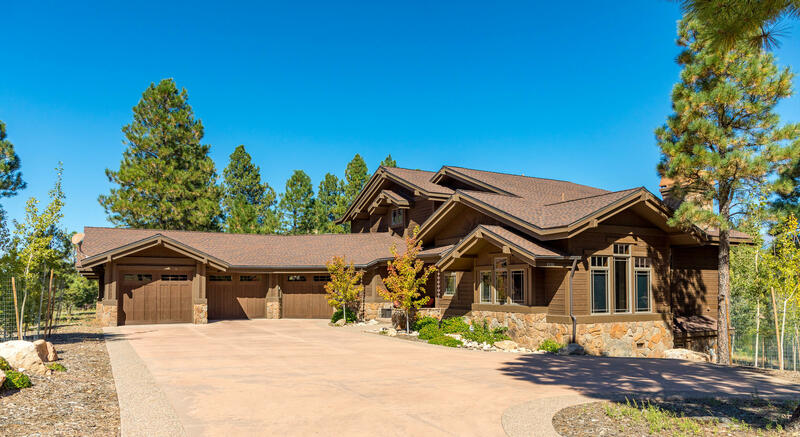 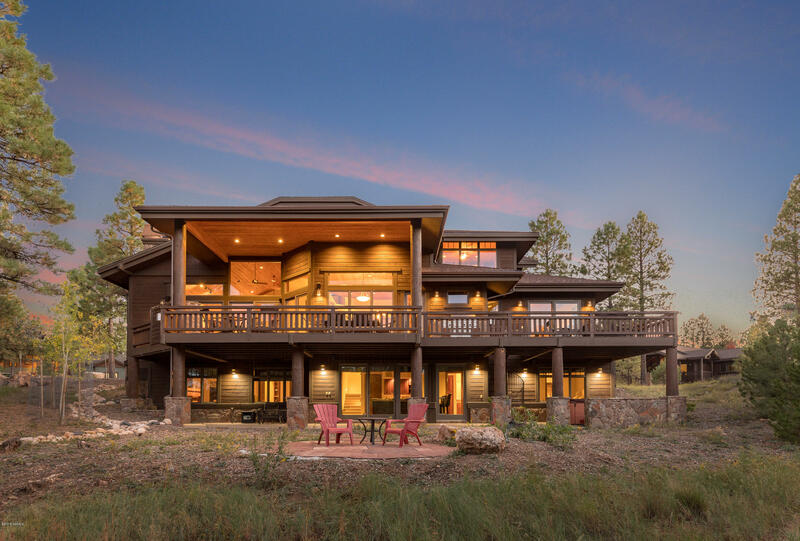 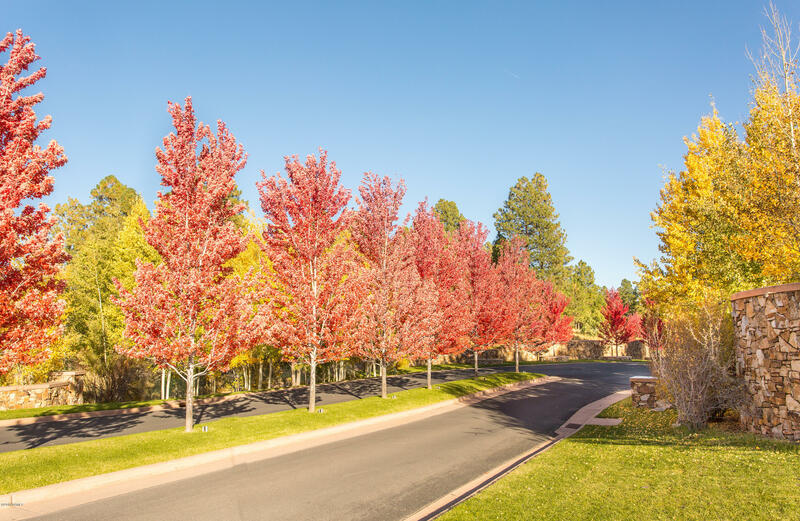 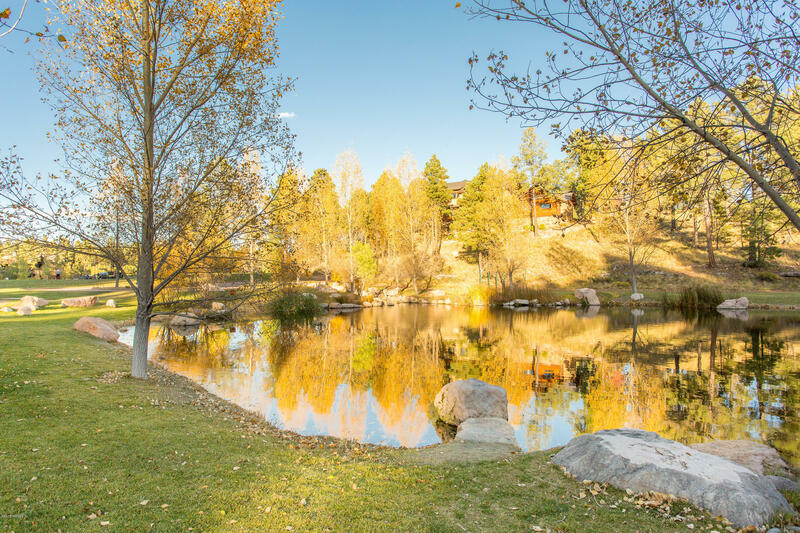 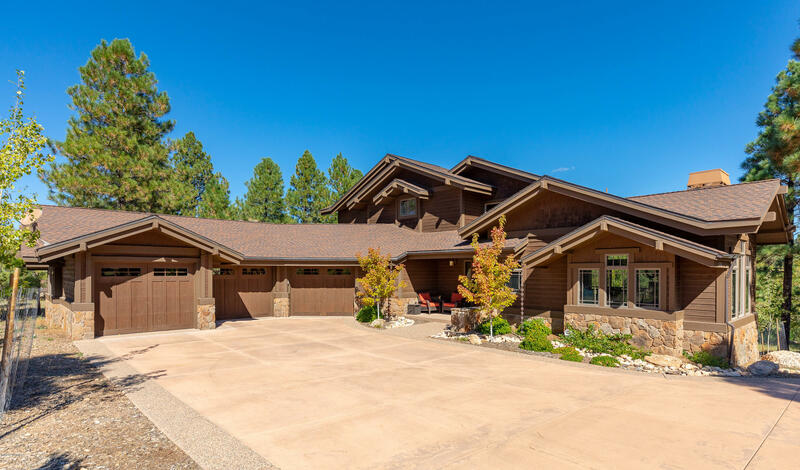 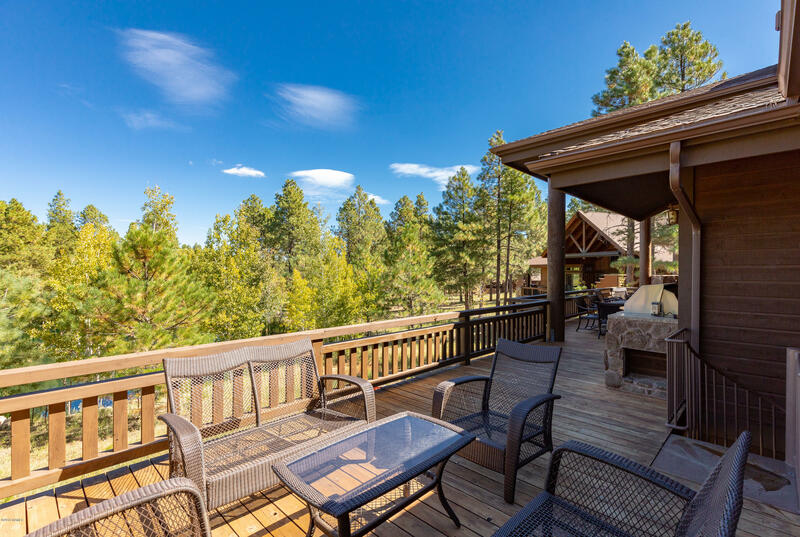 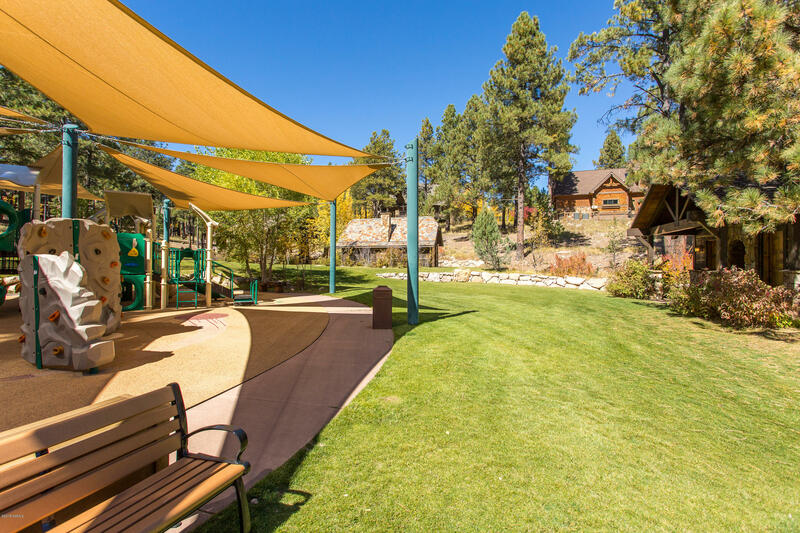 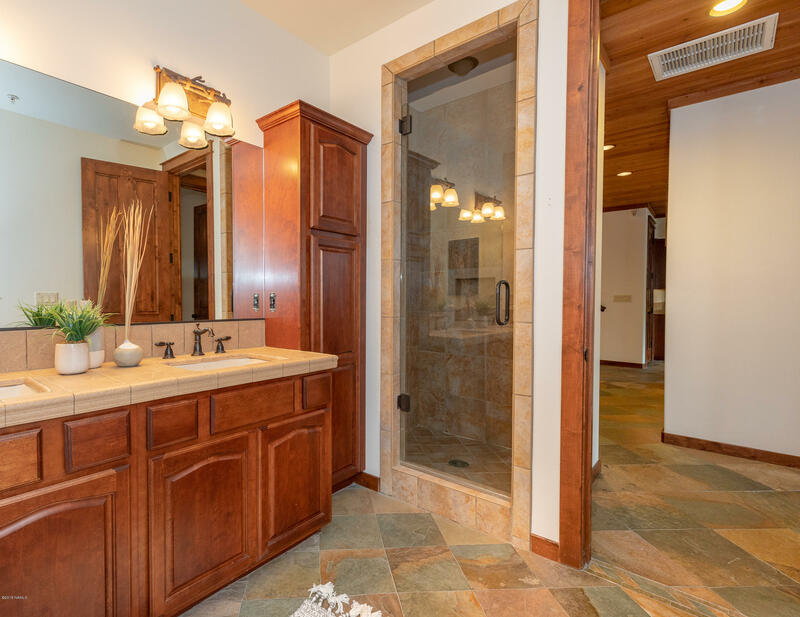 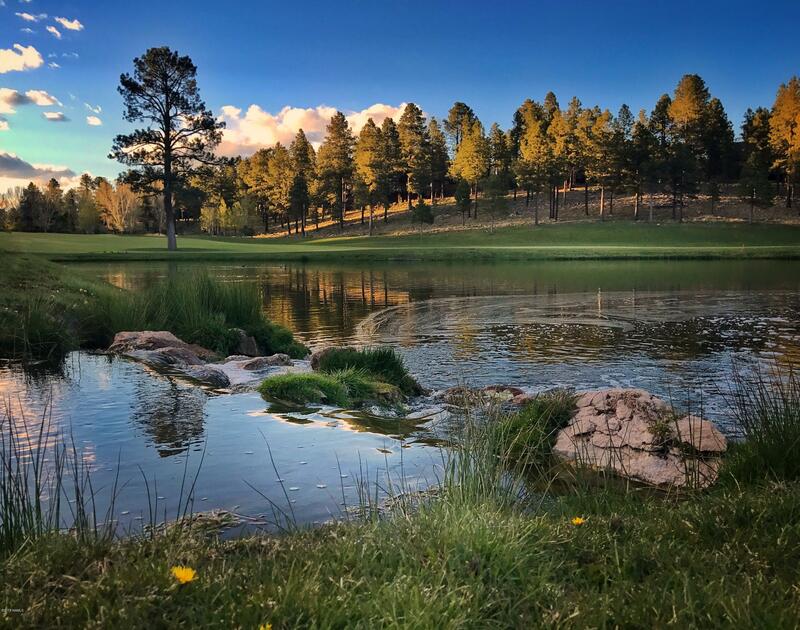 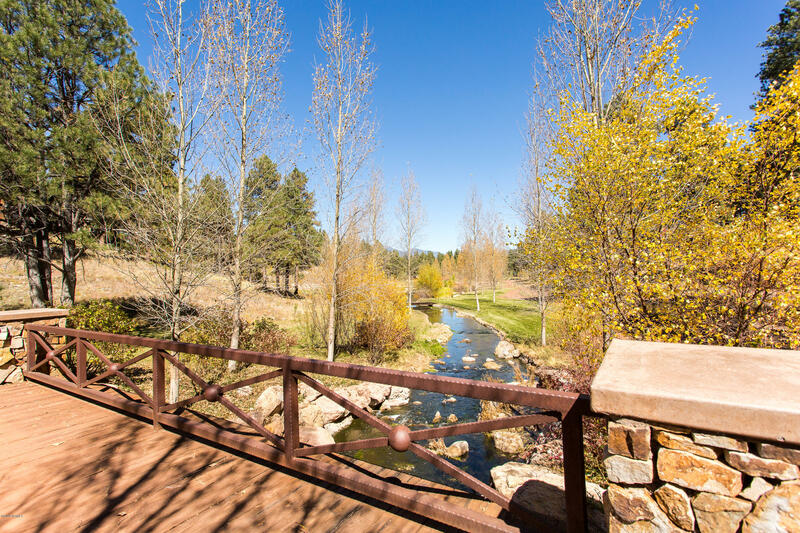 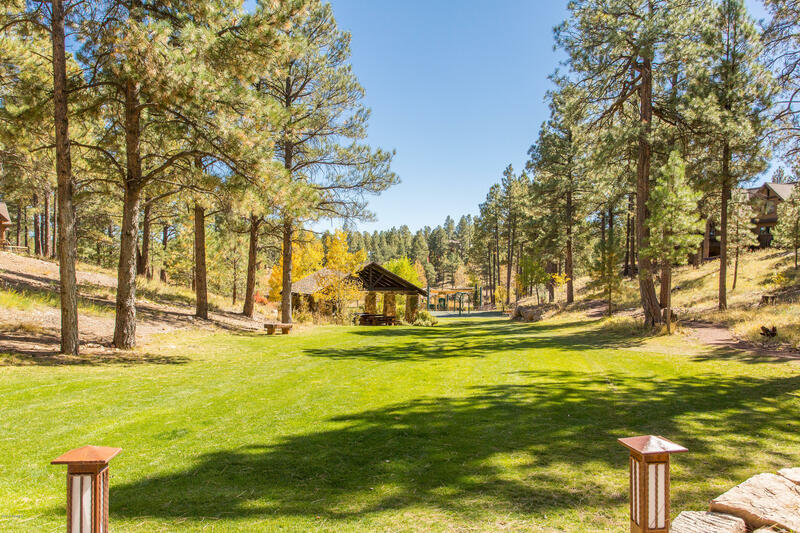 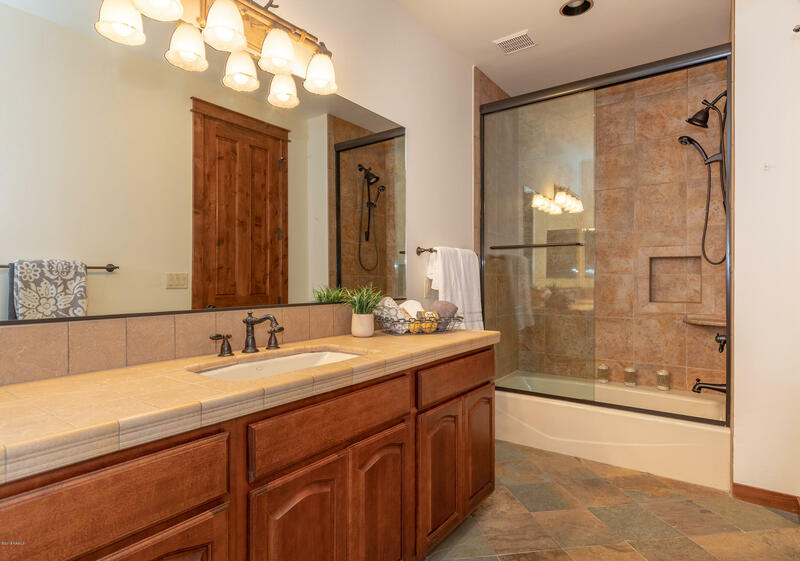 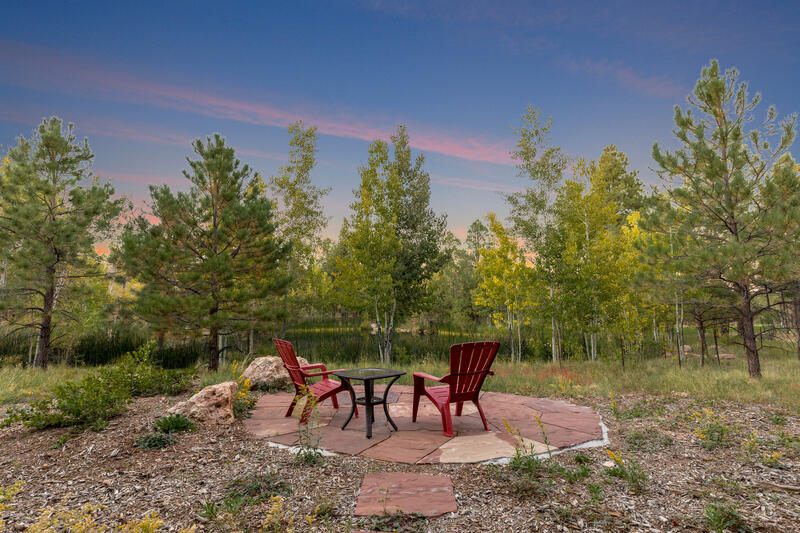 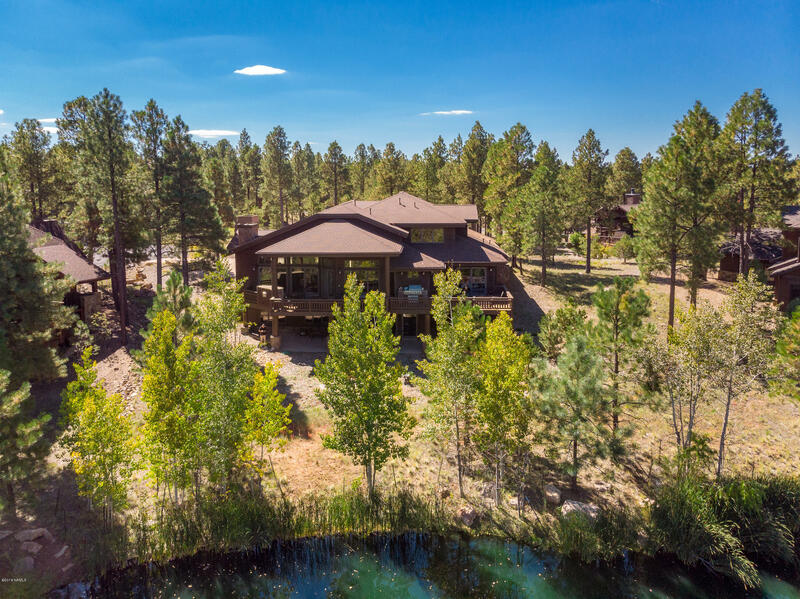 One of a kind Bill King design and build on one of the finest homesites in Pine Canyon! 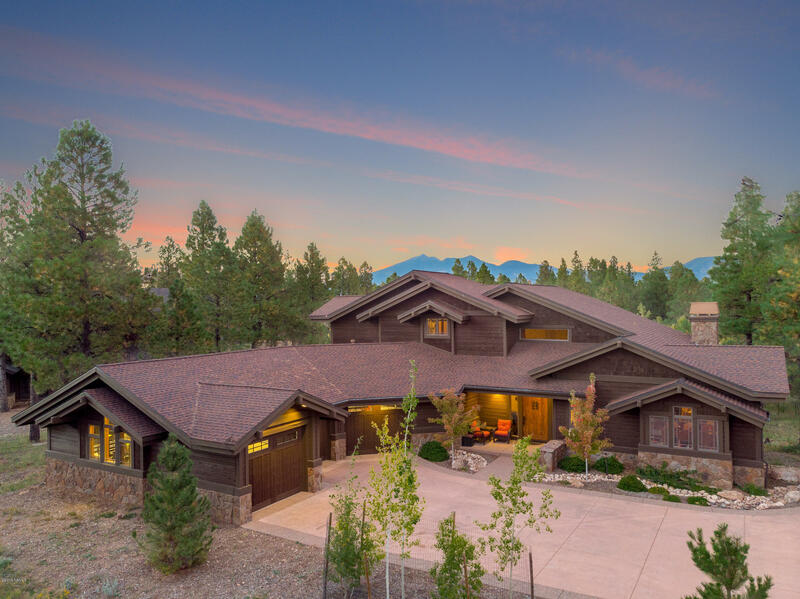 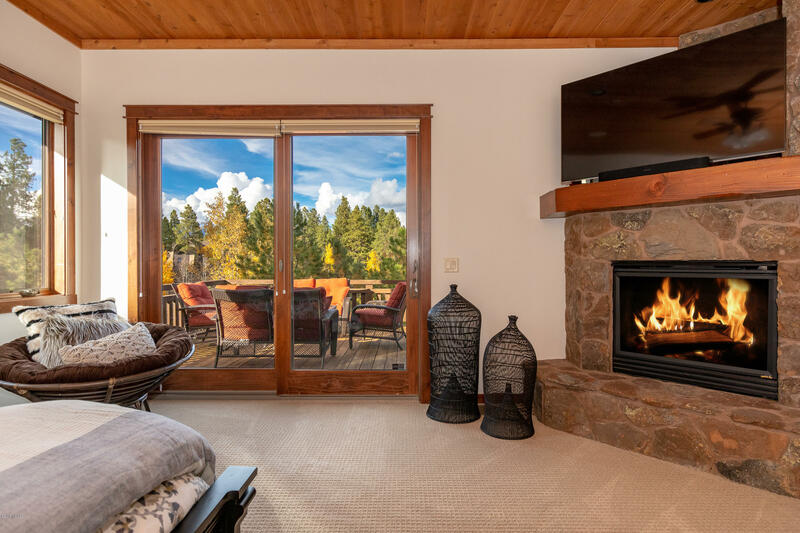 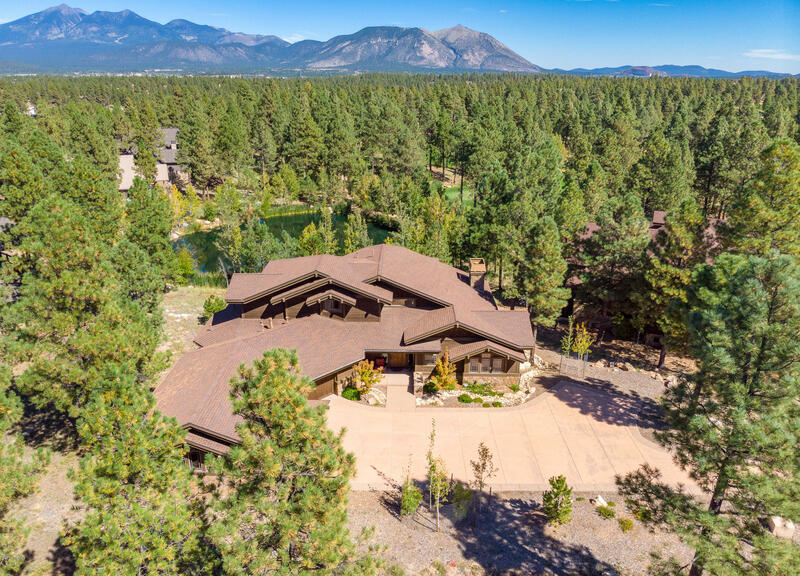 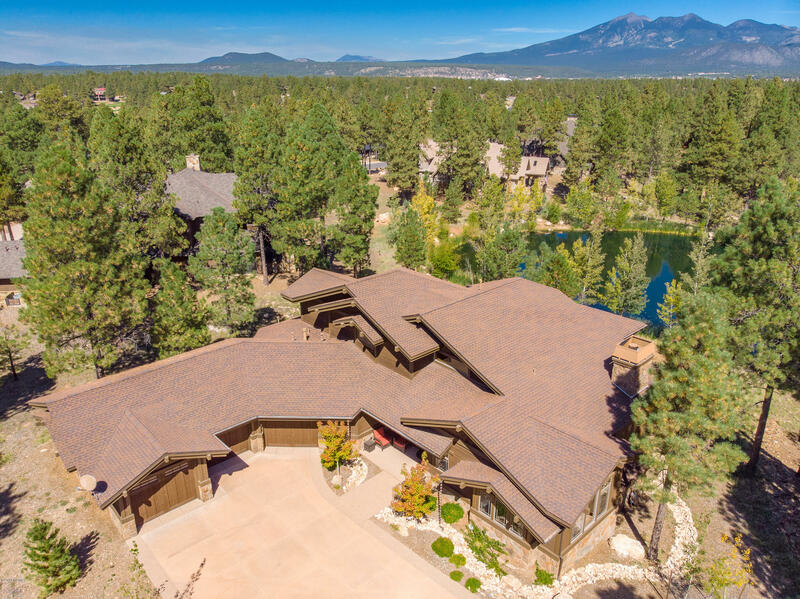 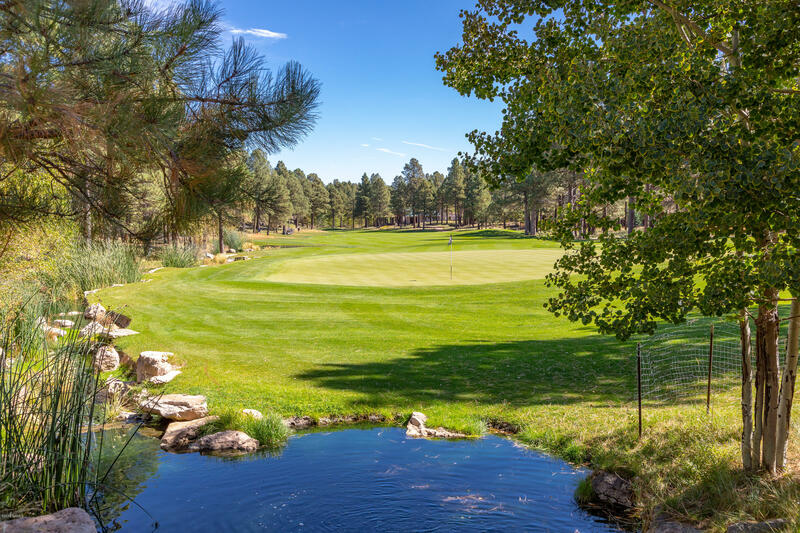 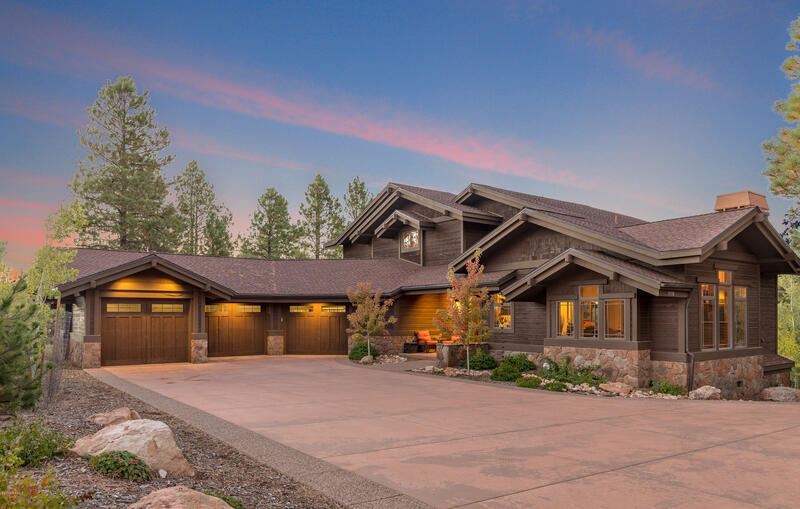 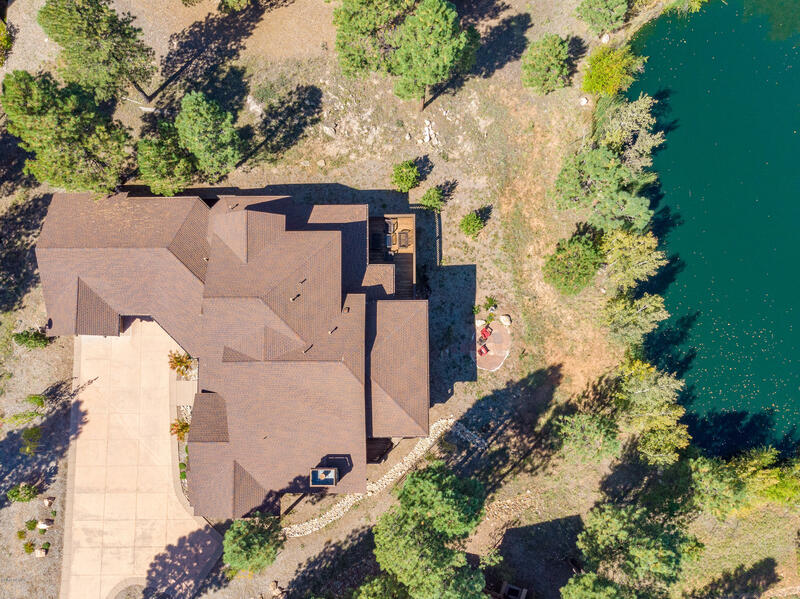 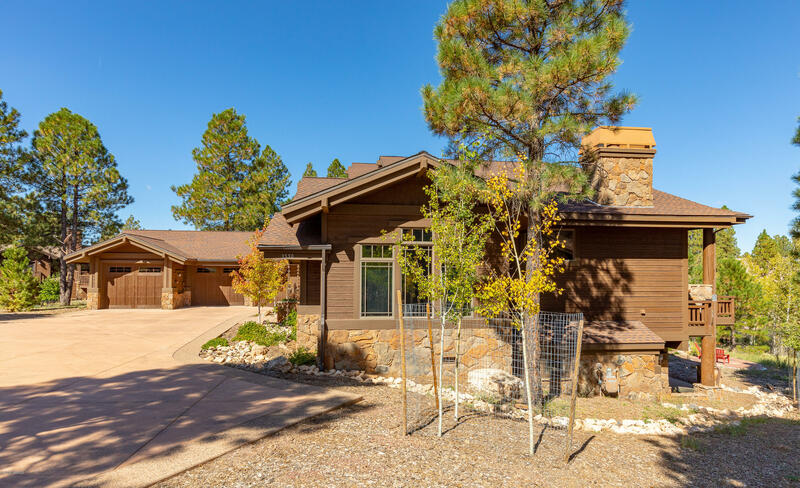 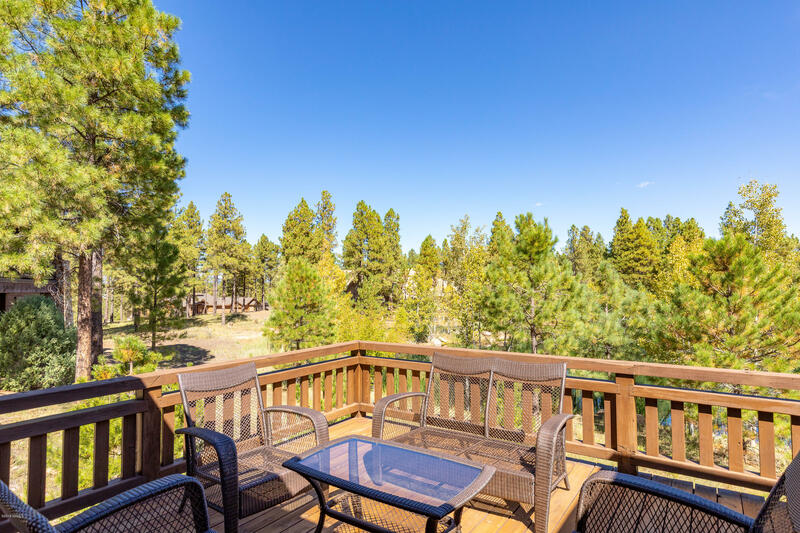 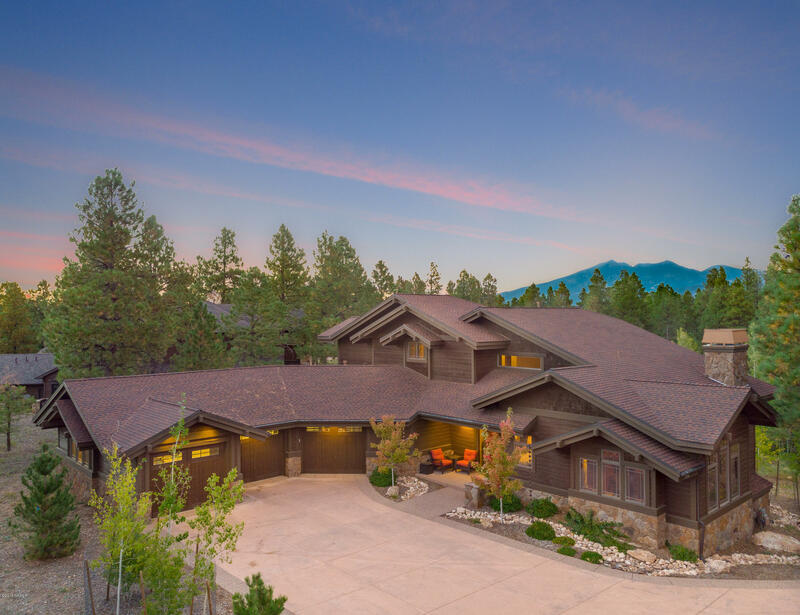 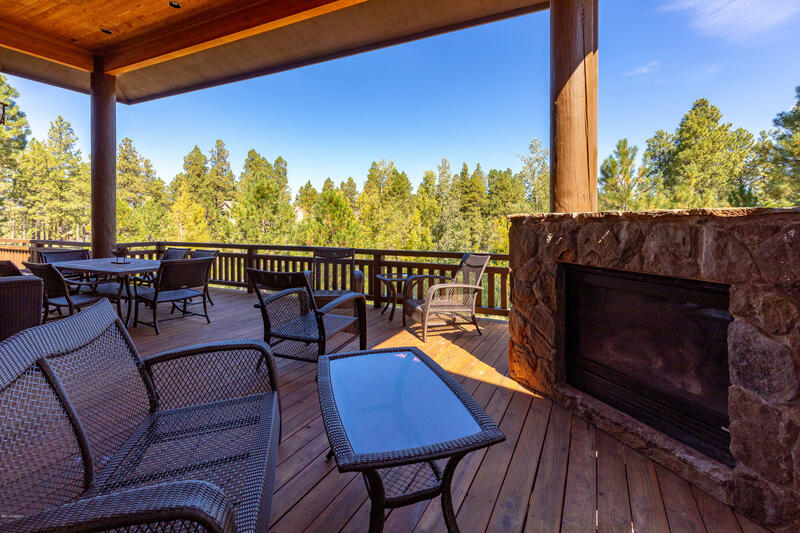 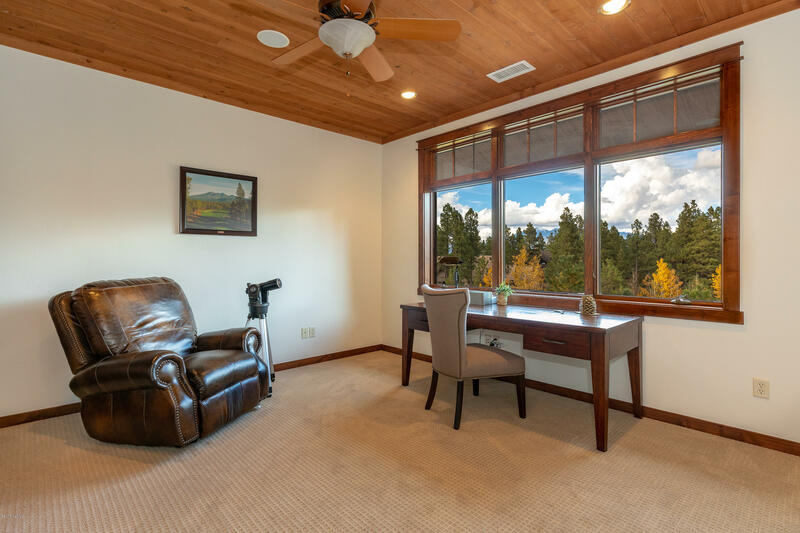 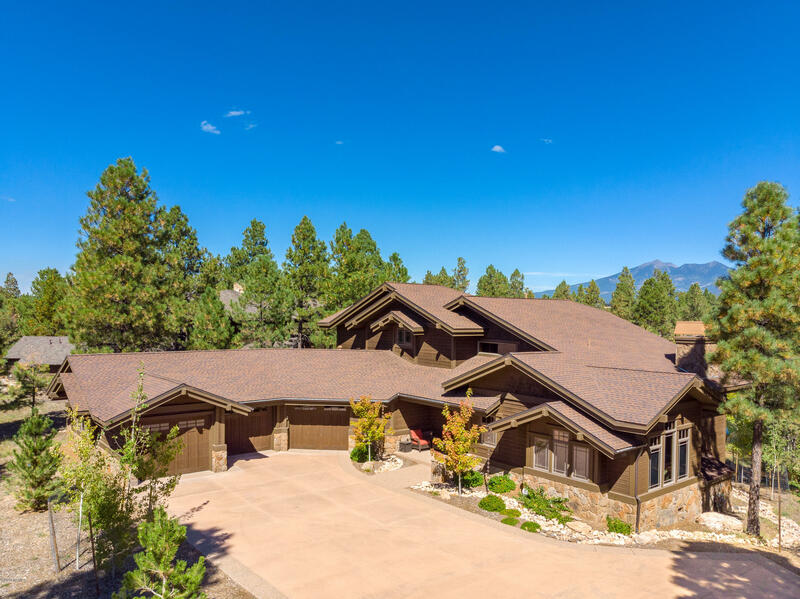 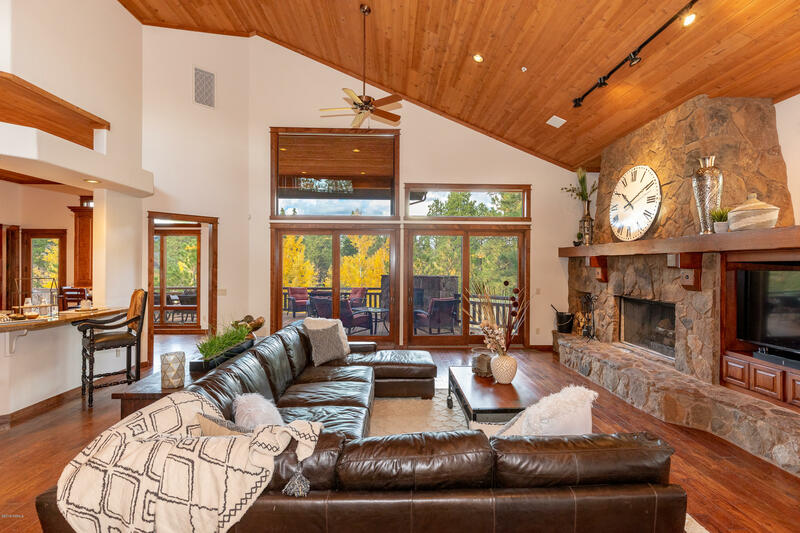 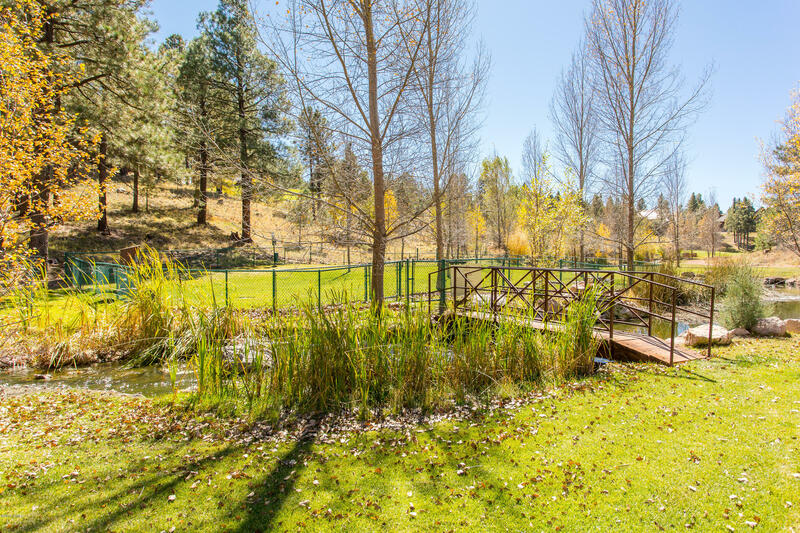 This home captures sweeping views of the 8th green and 9th fairway with the San Francisco Peaks as a backdrop. 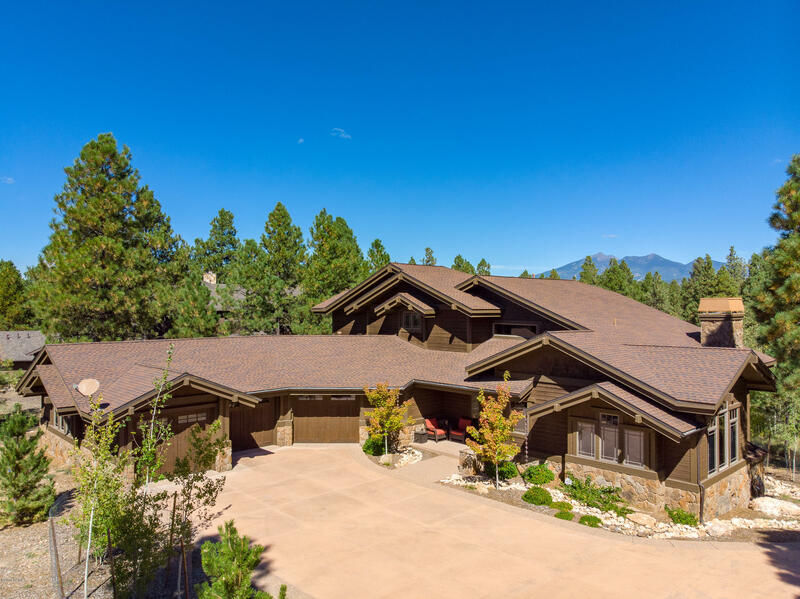 Endless blue sky and crisp air surround the 5014 square feet of home sweet home. 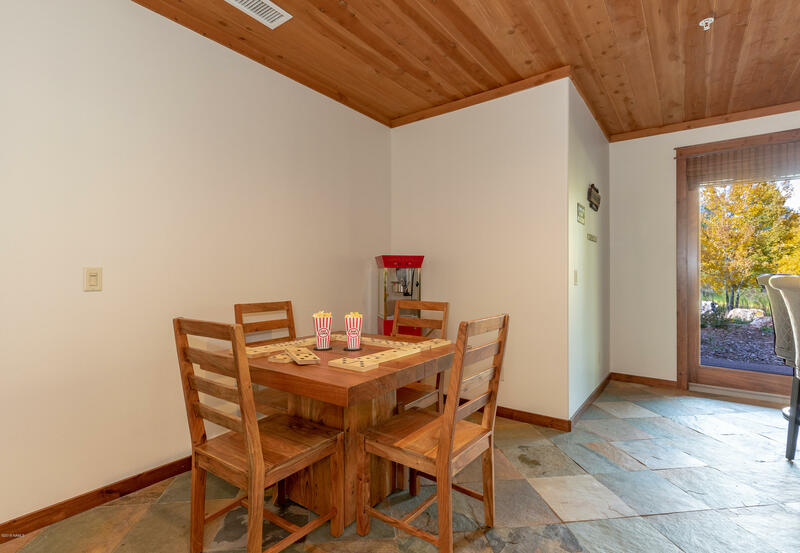 The home offers single level living with additional areas for family or friends. 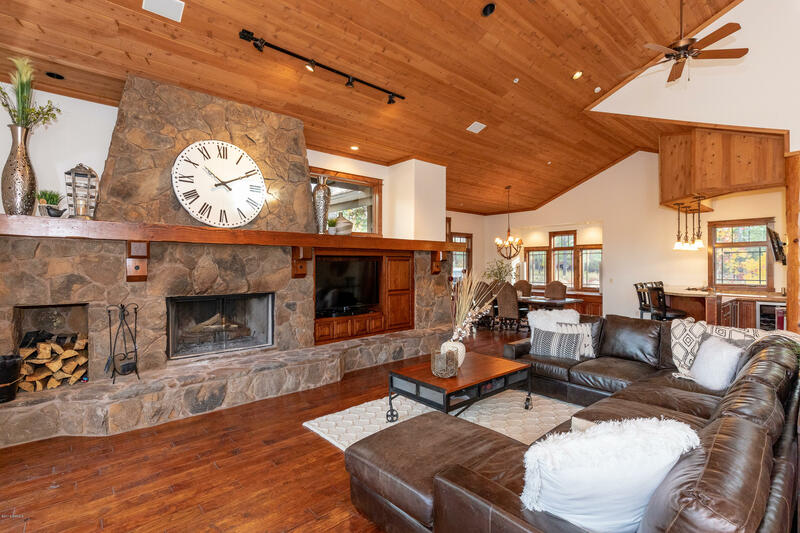 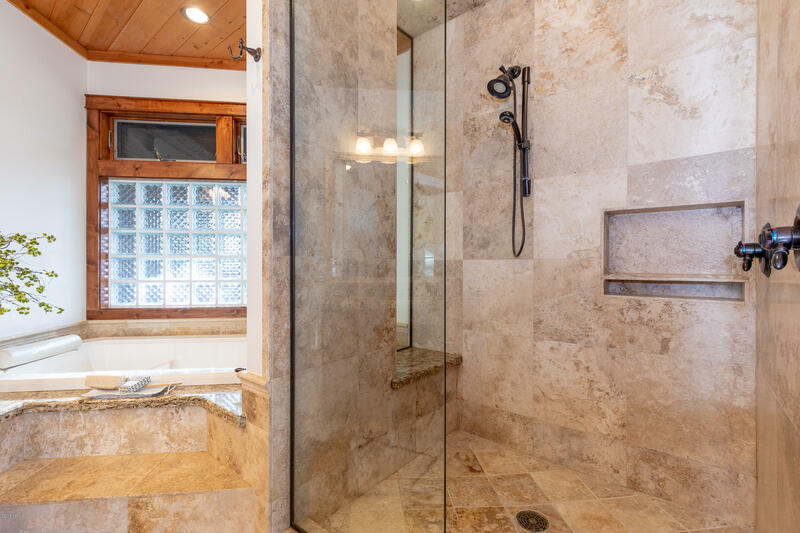 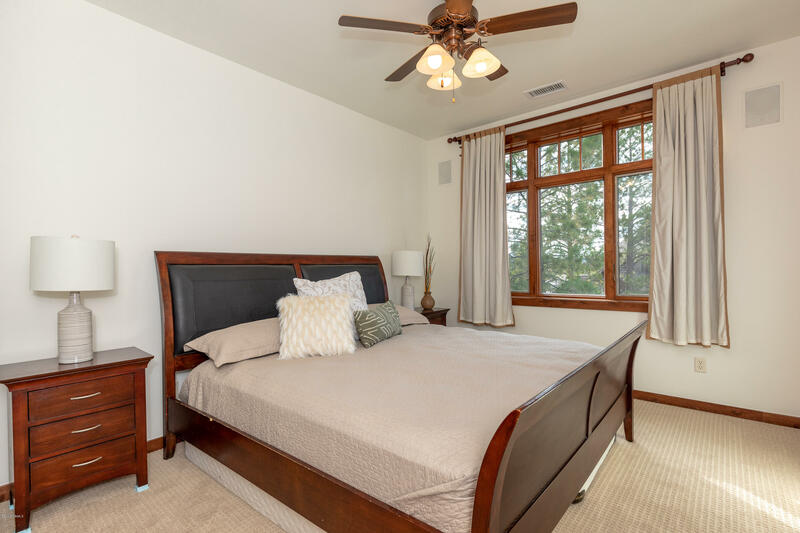 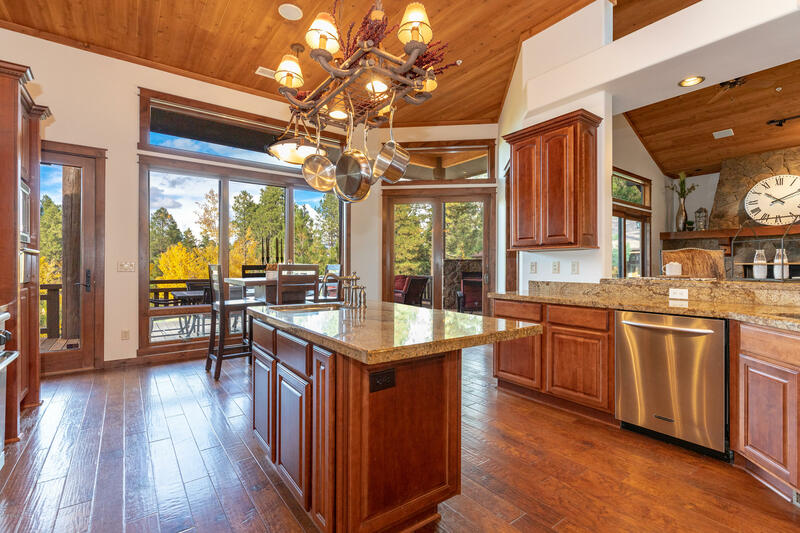 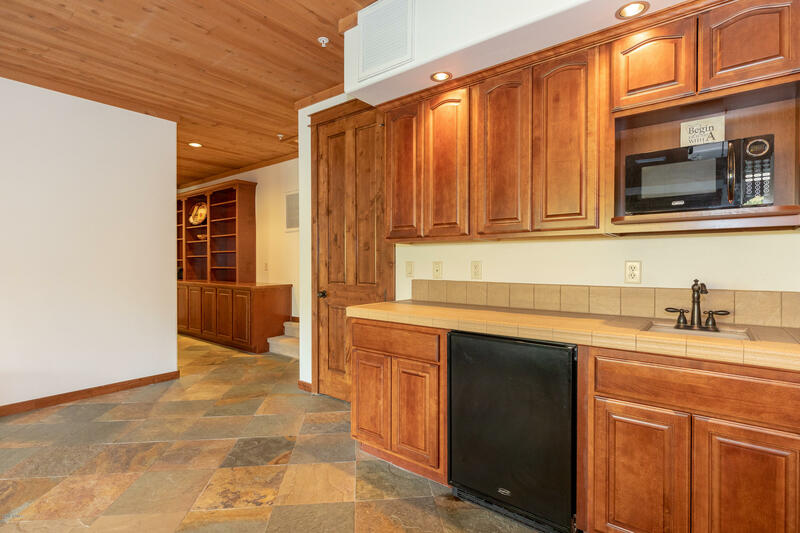 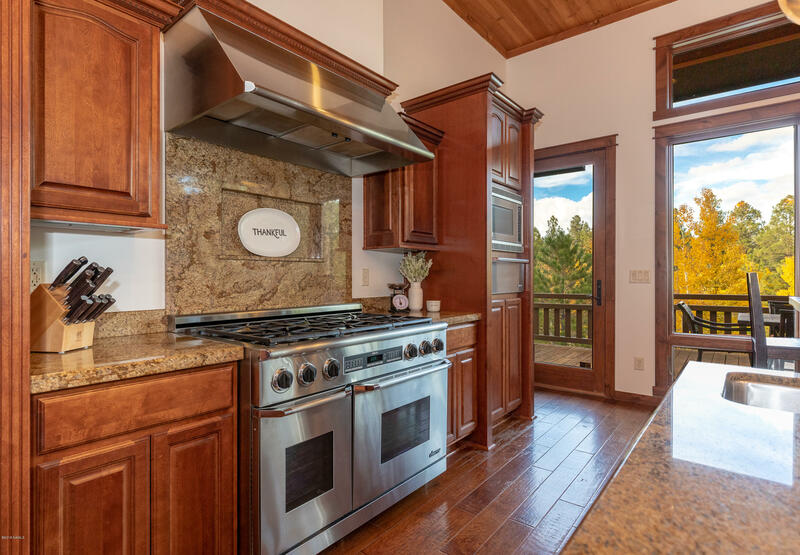 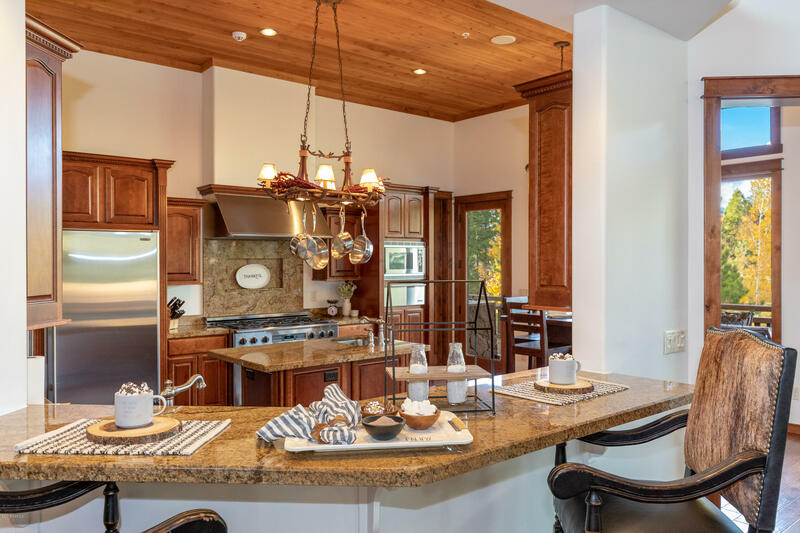 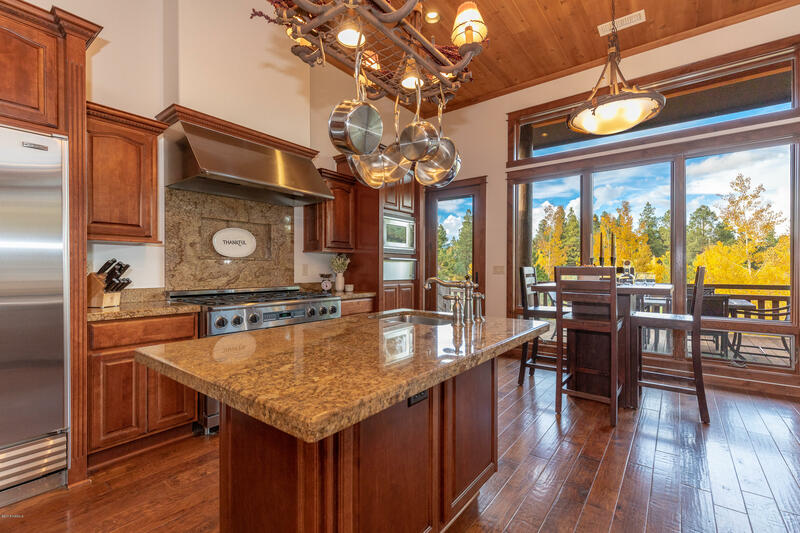 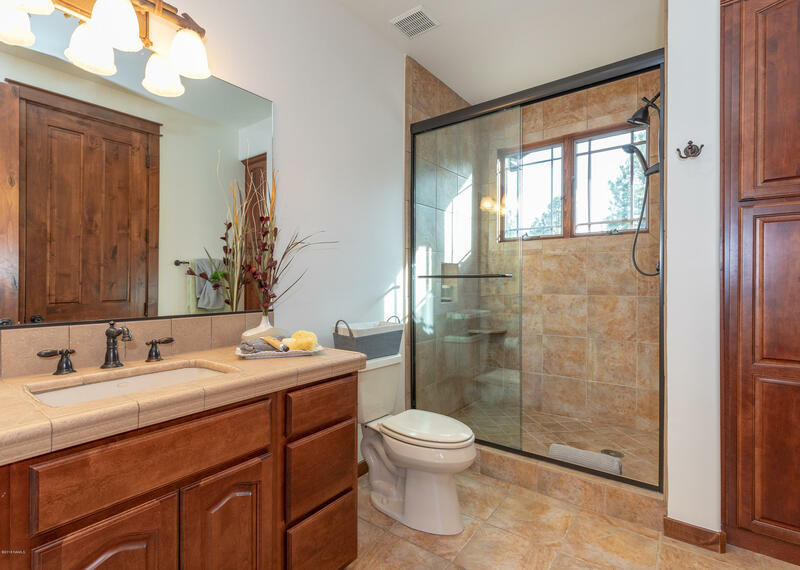 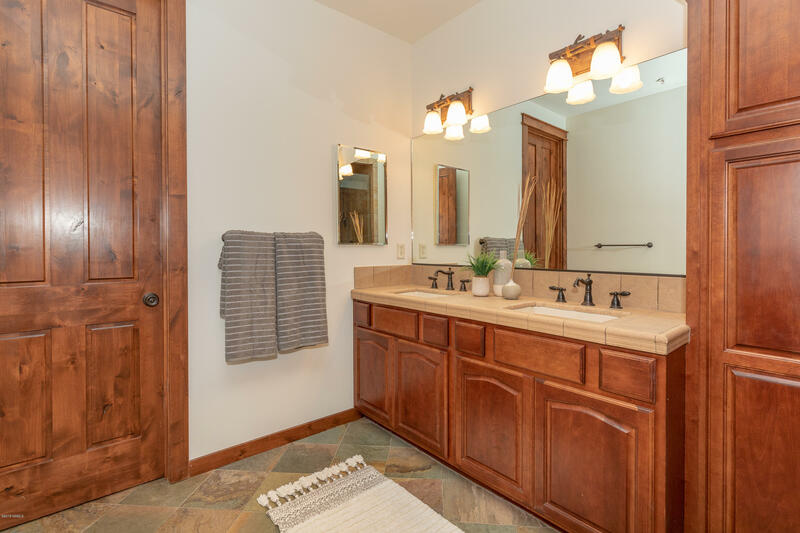 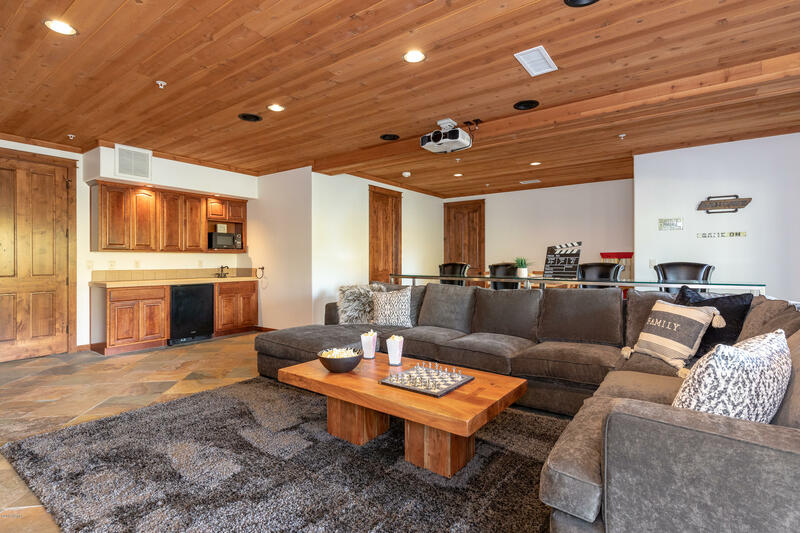 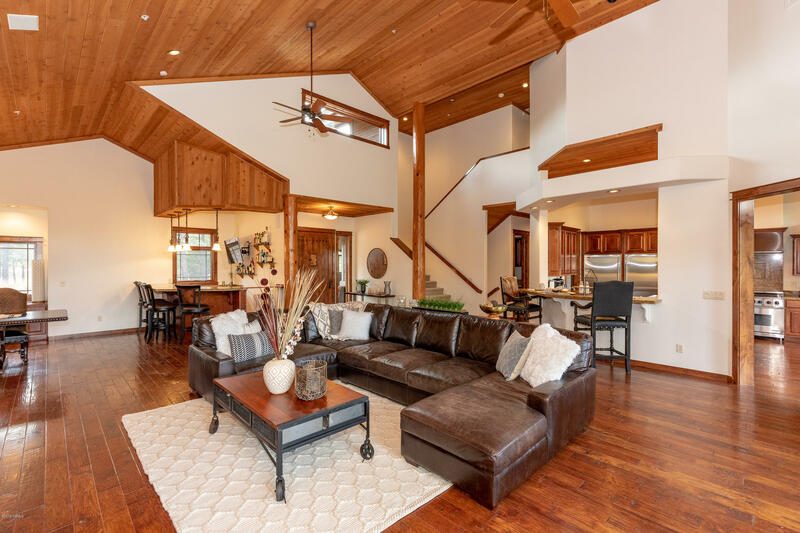 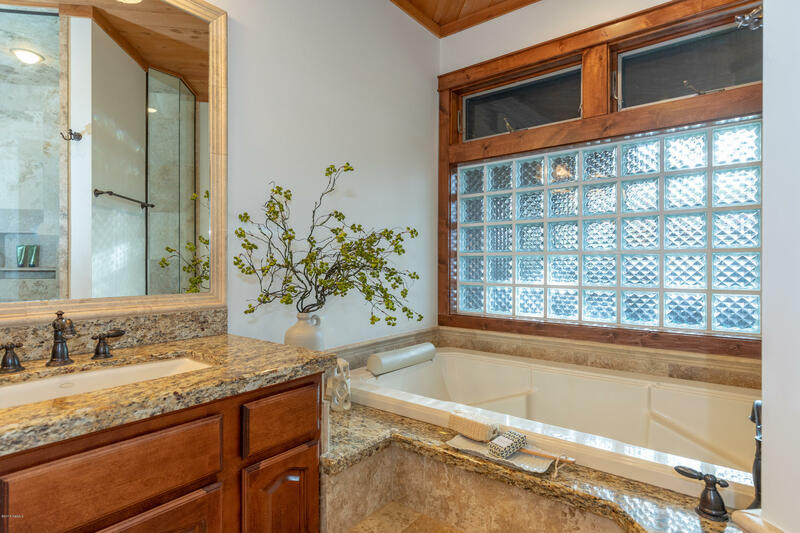 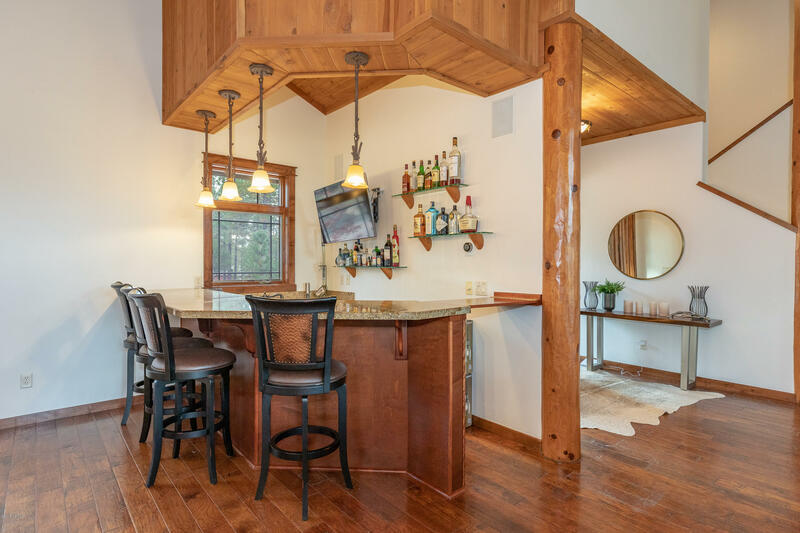 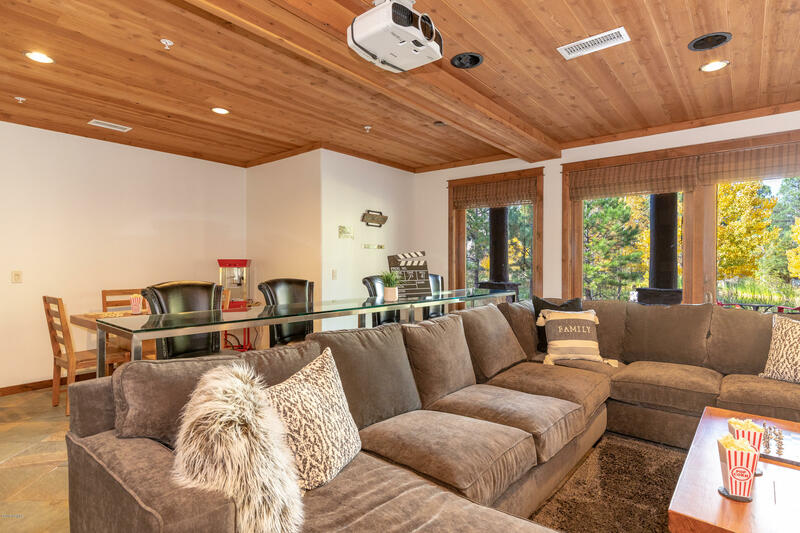 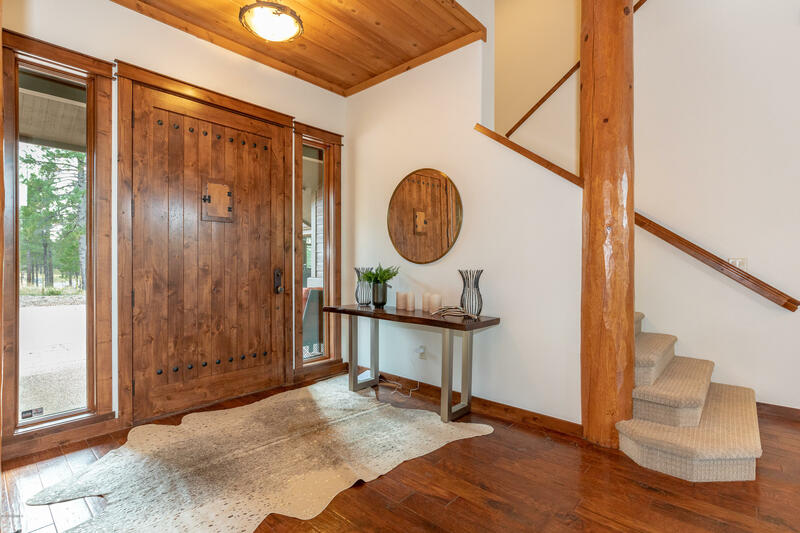 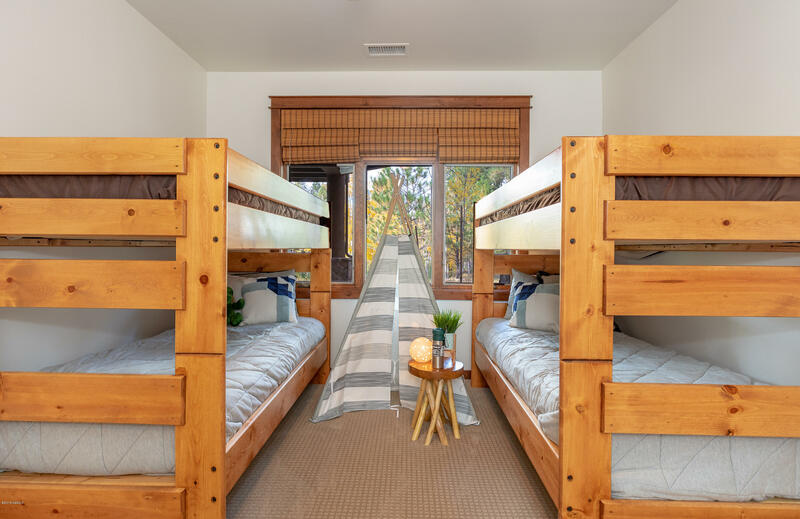 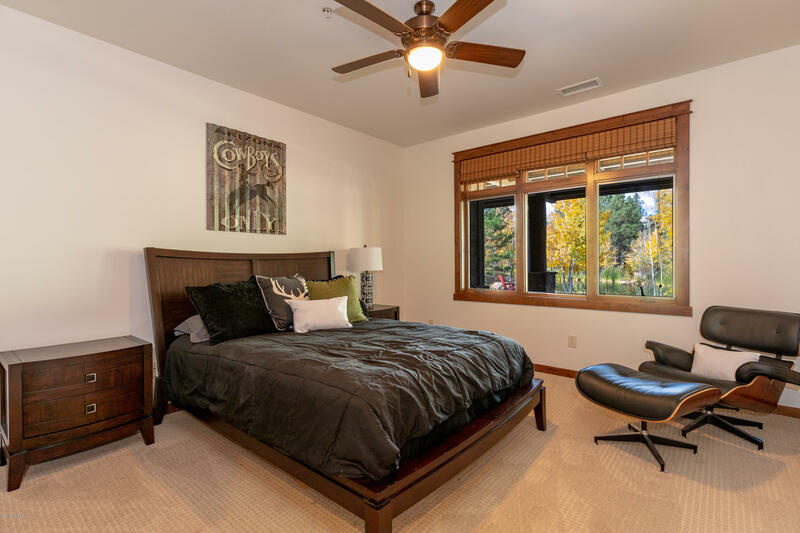 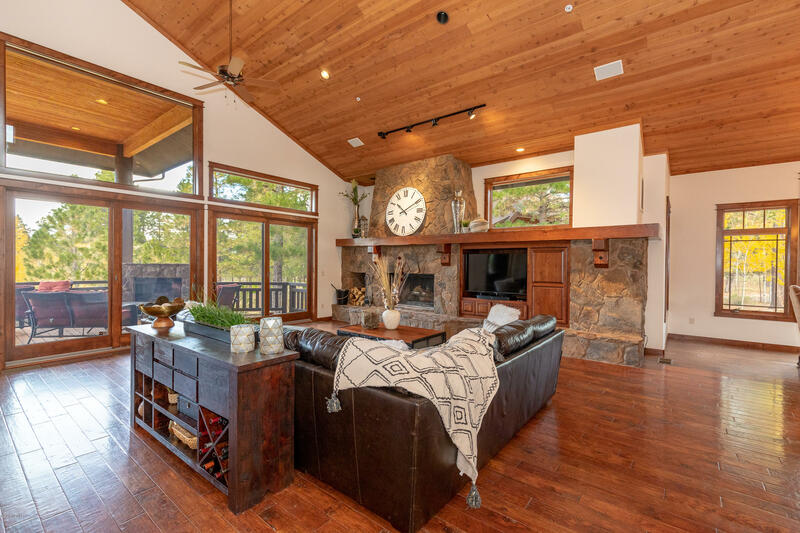 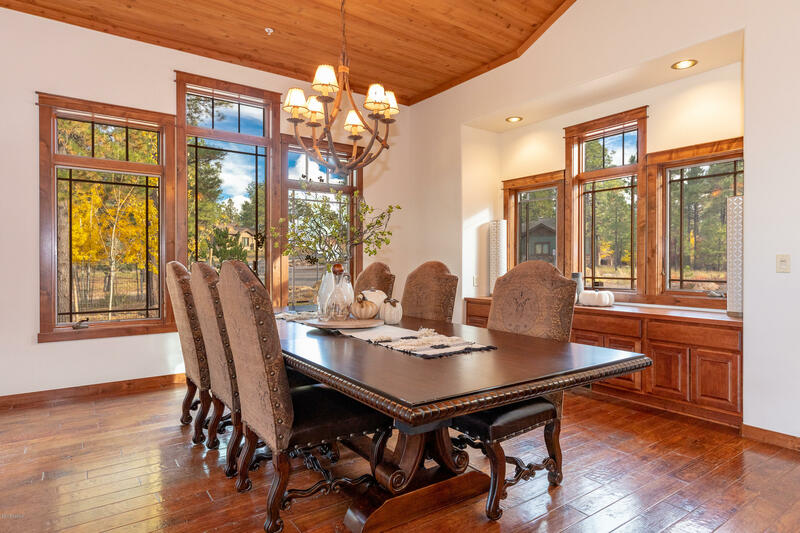 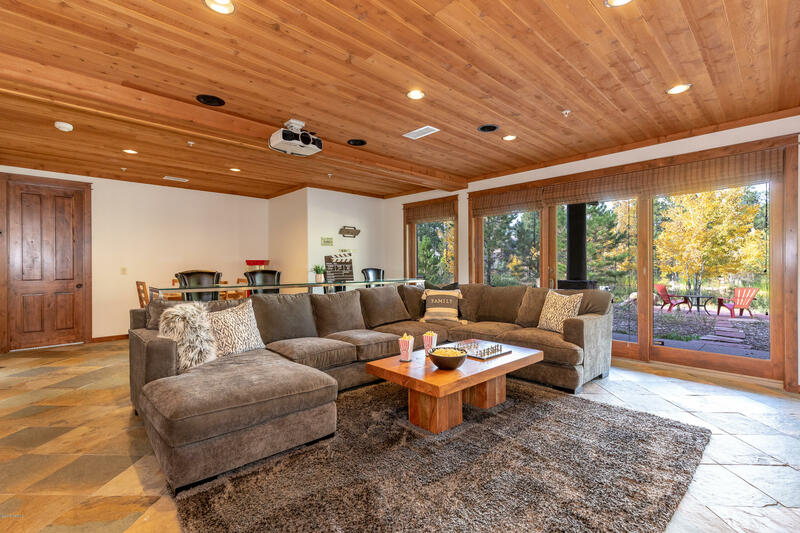 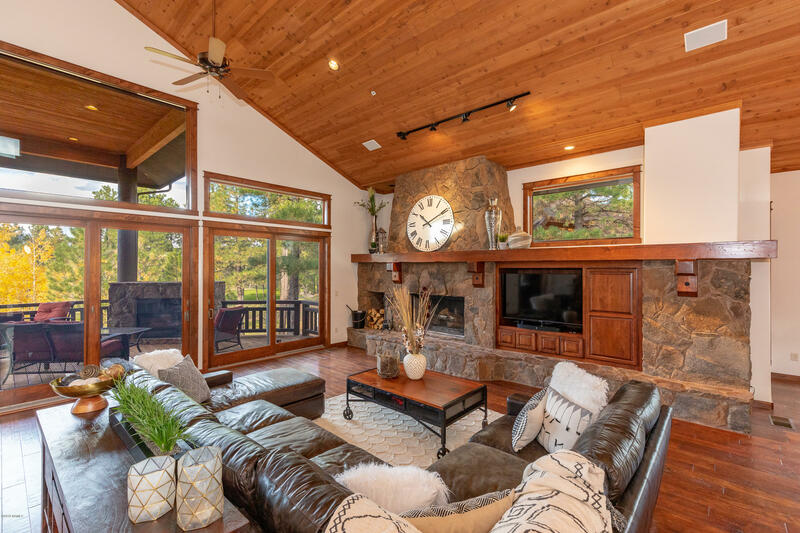 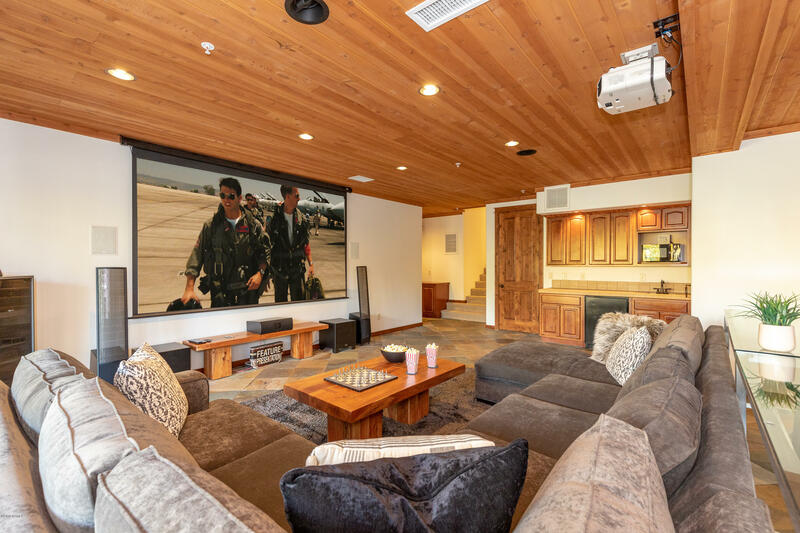 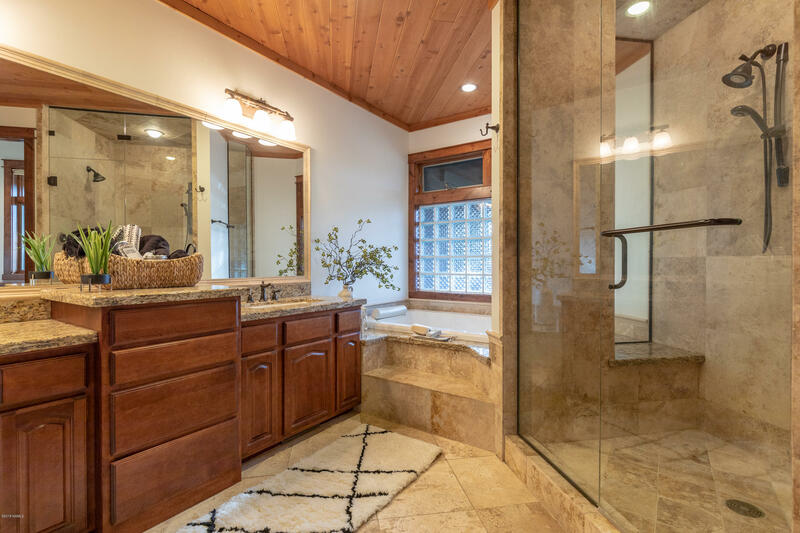 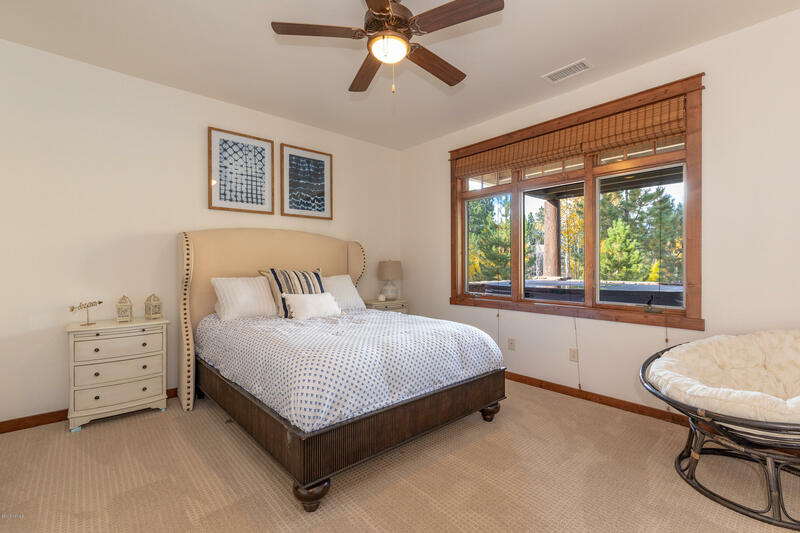 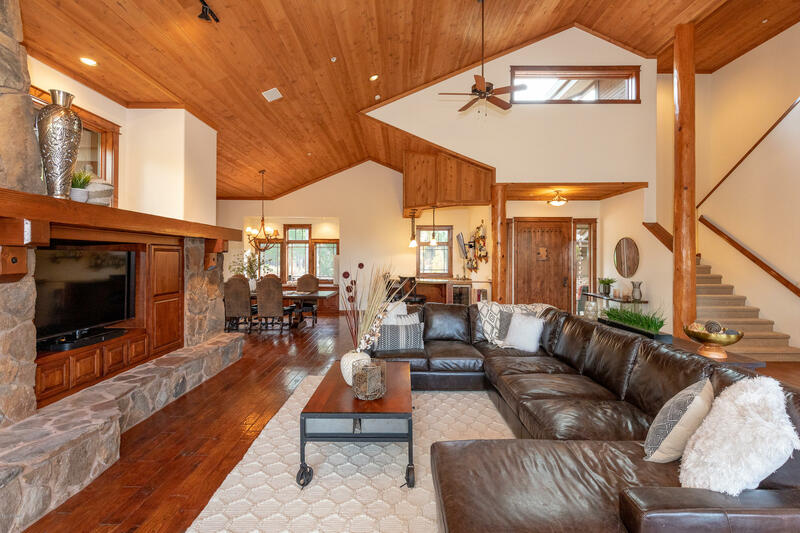 On the main level you'll find your luxurious master suite, entertainer's dream kitchen, and large great room with tongue and groove vaulted ceilings. 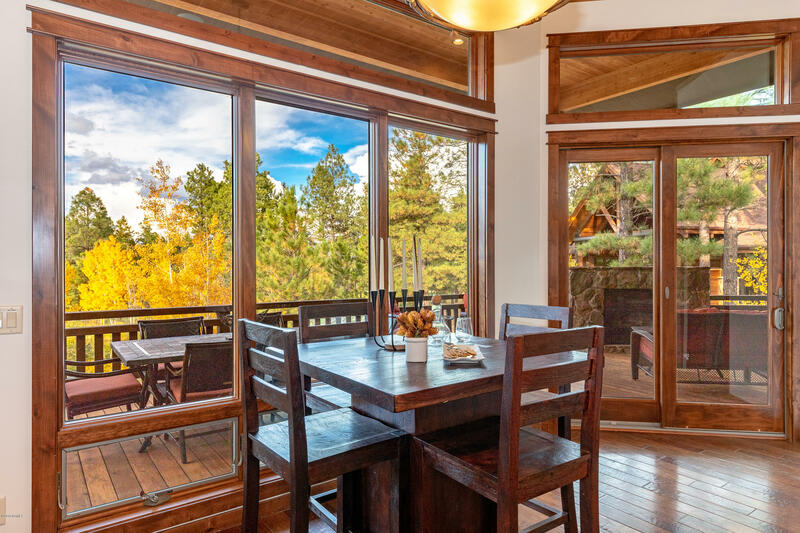 The windows make this beautiful home light and bright with a homey feel. 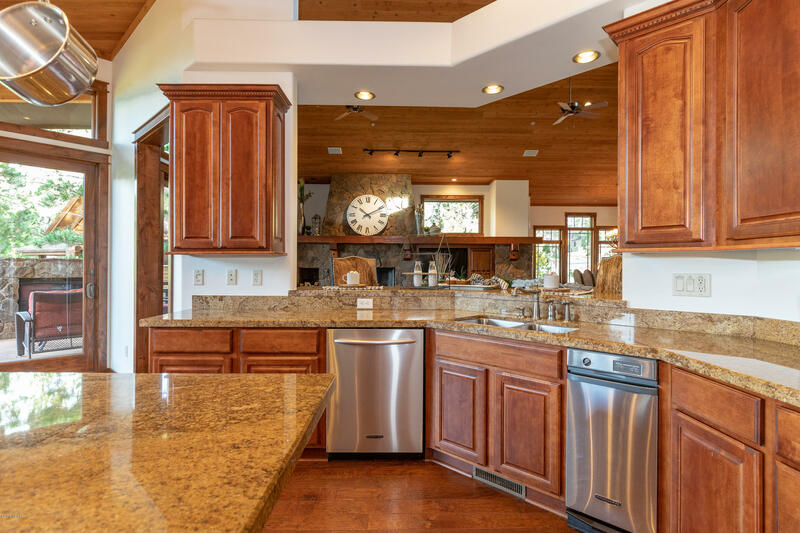 The finest finishes include dual sub zeros, island, dual sinks, huge walk-in storage and pantry, with ample cabinet space and preparation areas. 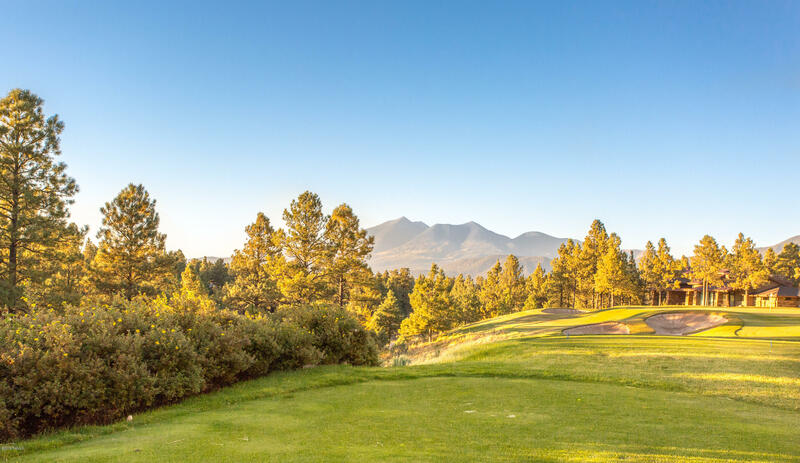 Directions: Take I-17 North to Lake Mary Road exit. 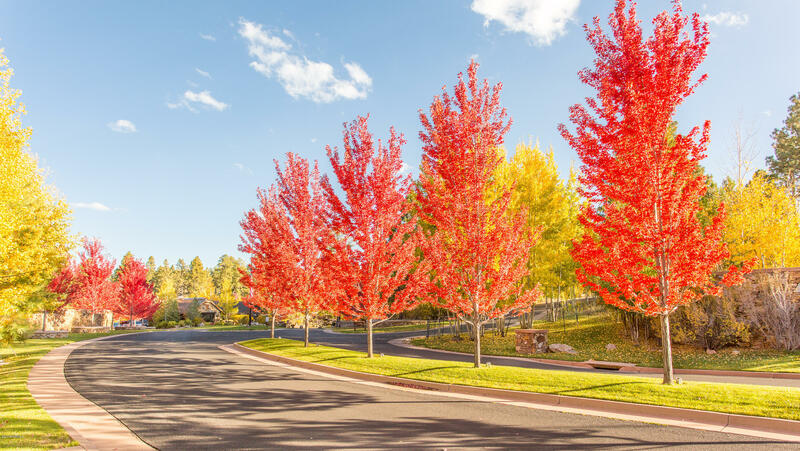 Go East to JW Powell Blvd and turn North. 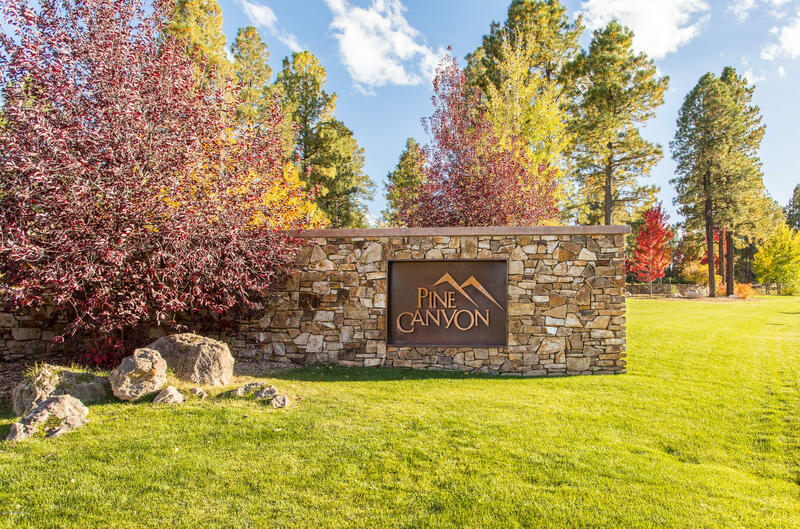 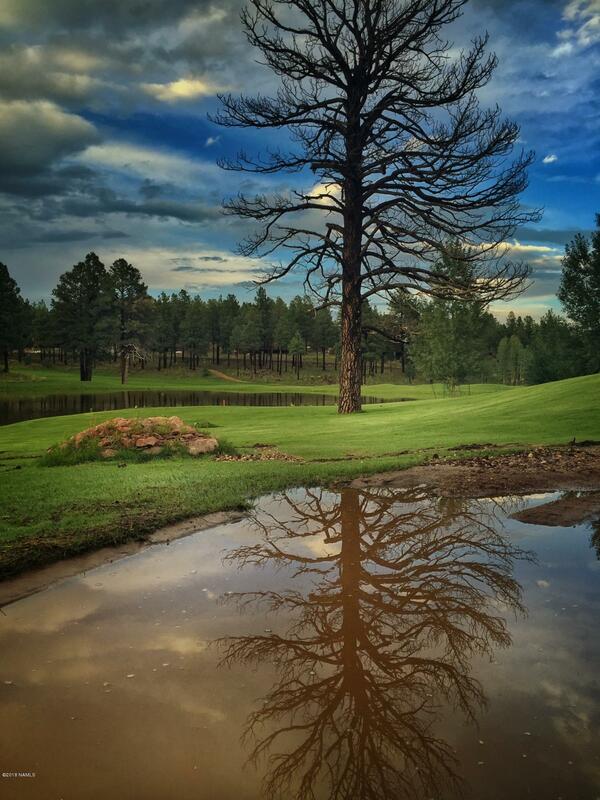 Continue to Pine Canyon Community. 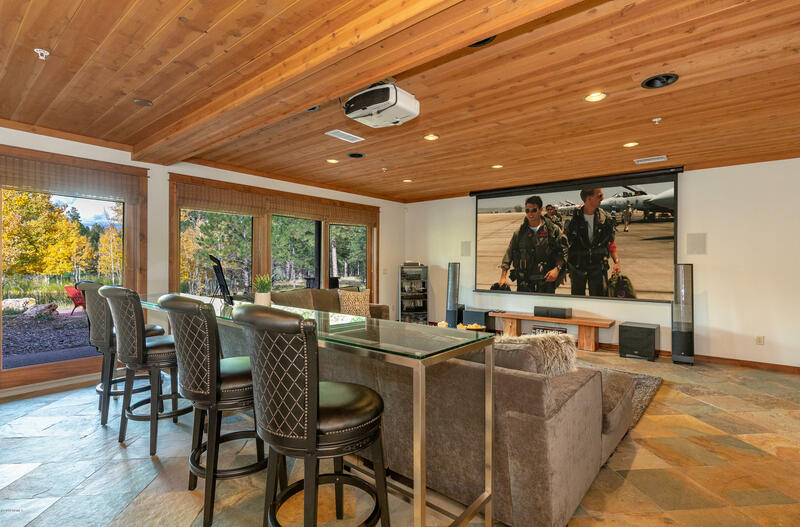 Other: ATTC 3 bays approx.